We offer complete solutions for planning juice production from idea and advice to a fully working and productive product line. We also offer flexible financing solutions adapted to your needs. Feel free to contact us and we will surely find a suitable solution for you, either you are a start-up or already operating manufacturer. Machines and equipment for small businesses help to optimise the production process for producing a larger amount of drinks. If necessary, devices may be purchased separately to complement an already existing production line or use them on their own. 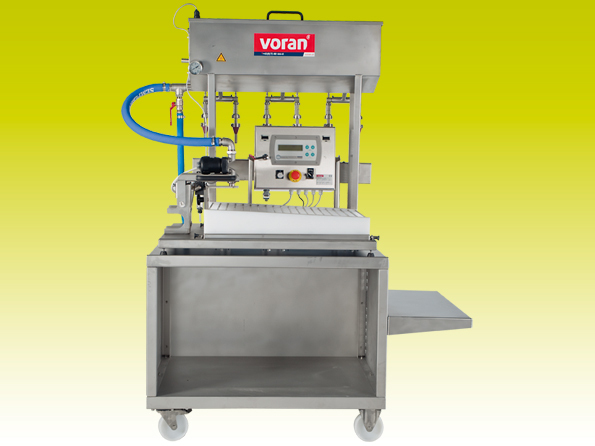 It is also possible to assemble a complete production line, which satisfies your specific production needs. 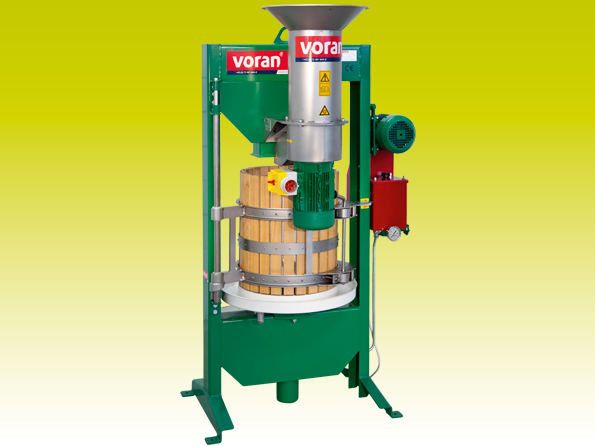 We offer carefully selected assortment of high quality Voran, Gebhardt and Speidel machines and equipment for different stages of juice production - from washing apples and feeding them to a shredder until capping and labelling bottles. 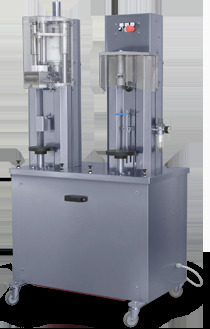 In addition, we offer in our product range Carbofresch Carbonators and Lancman's high-quality stainless steel presses. Pipe screen combination with 2 parallel stainless steel slotted screens for coarse filtering. 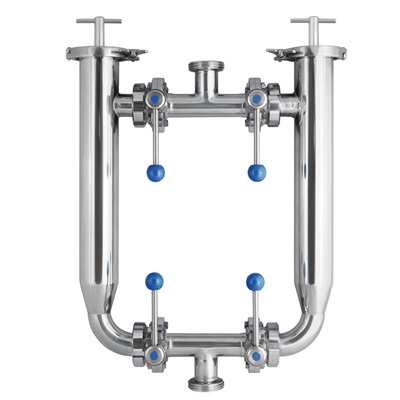 Valves are provided to shut-off the screens individually for cleaning purposes. Screen insert diameter 0,25 mm. 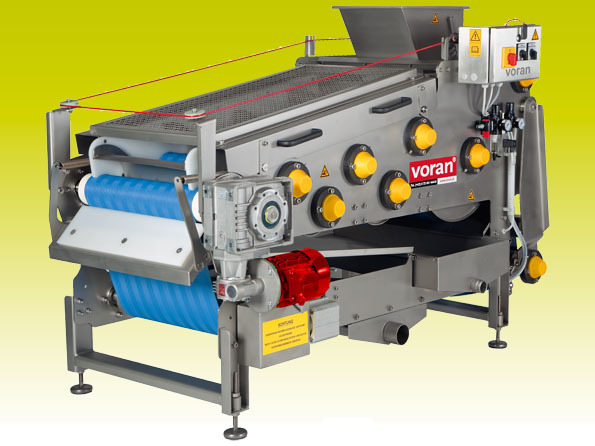 Voran EP 500 de-stoning / straining system with changeable screens and adjustable rotor for de-stoning and straining different fruit and berries. The stones are ejected separately from the mash. Productivity up to 500 kg per hour. 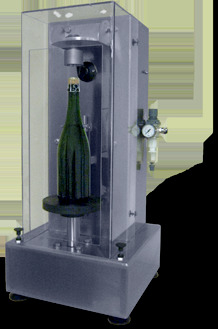 Bottle neck freezer (Champenois method) for the clarification of wine after fermentation in the bottle. Available different models that can fit 3 - 32 bottles at a time. 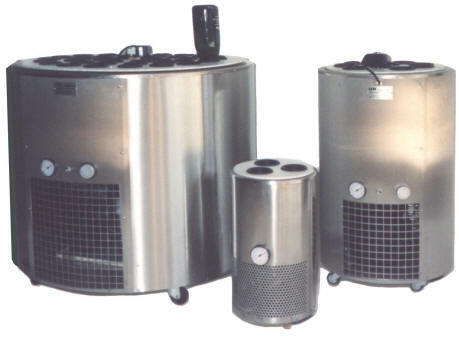 Steam generators that are extremely fast with a continuous supply of steam. 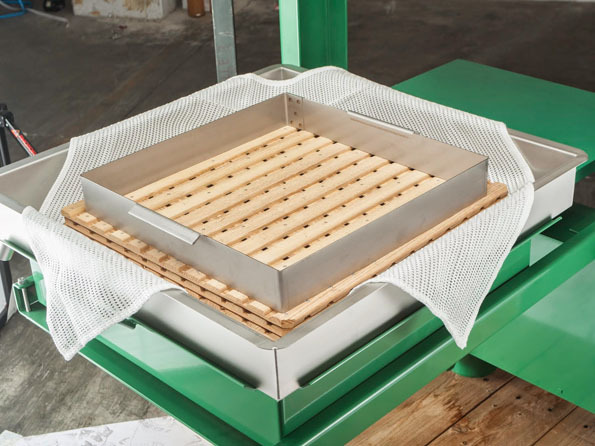 Used to the sterilization of sheet filters, candle filters and filling machines, to help clean and sterilize barrels, wooden fermenters and tanks - , or to remove wine stone. 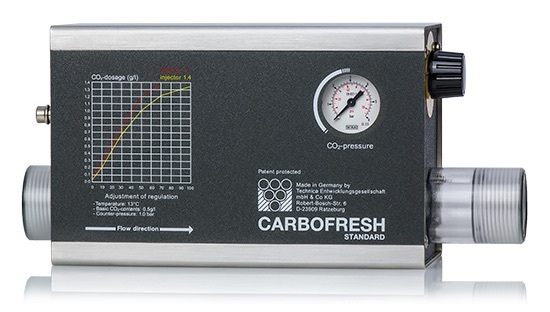 Carbonator Carbofresh for producing beverages that contain CO2 with a content of up to 1,8 g/l. 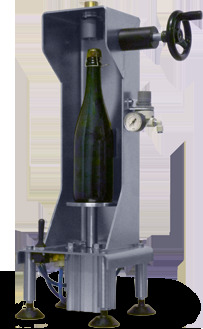 The device is suitable for producing sparkling wines, carbonated water, soft drinks and carbonated apple juice or apple wine. 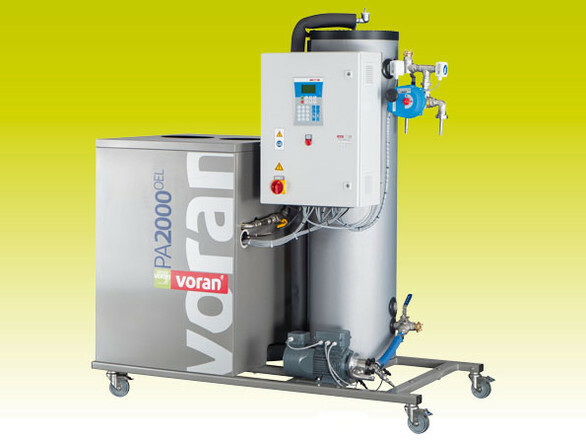 Maximum flow performance up to 2000 l/h. Plastic transportation tank for liquids. 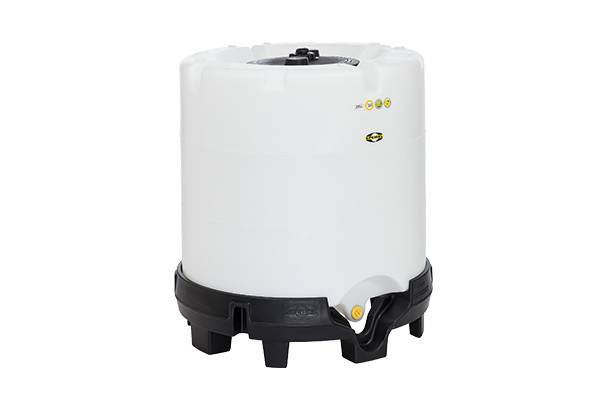 Available in two sizes- 400 and 600 litres. 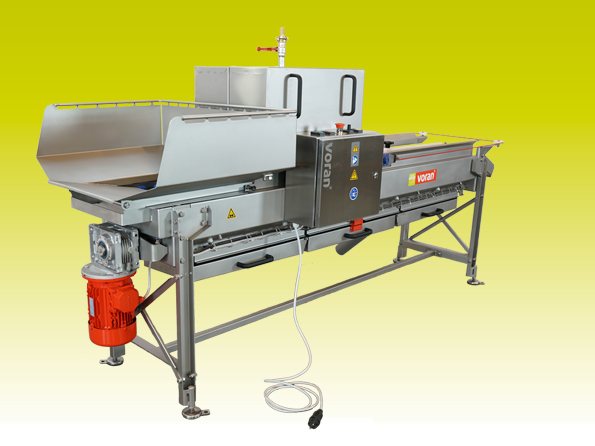 The cleaning and sorting table BRM is a combination device for cleaning and manual sorting of fruit and vegetables. 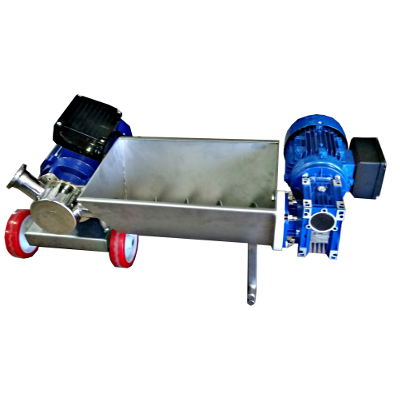 Centrifugal pump with moveable frame, stainless steel pump housing and bypass. 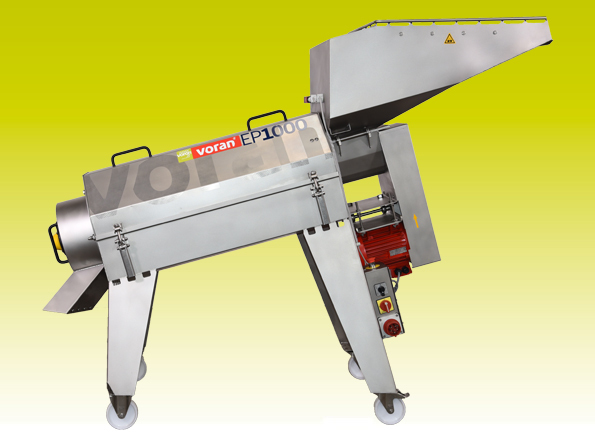 Productivity up to 2000 litres per hour. 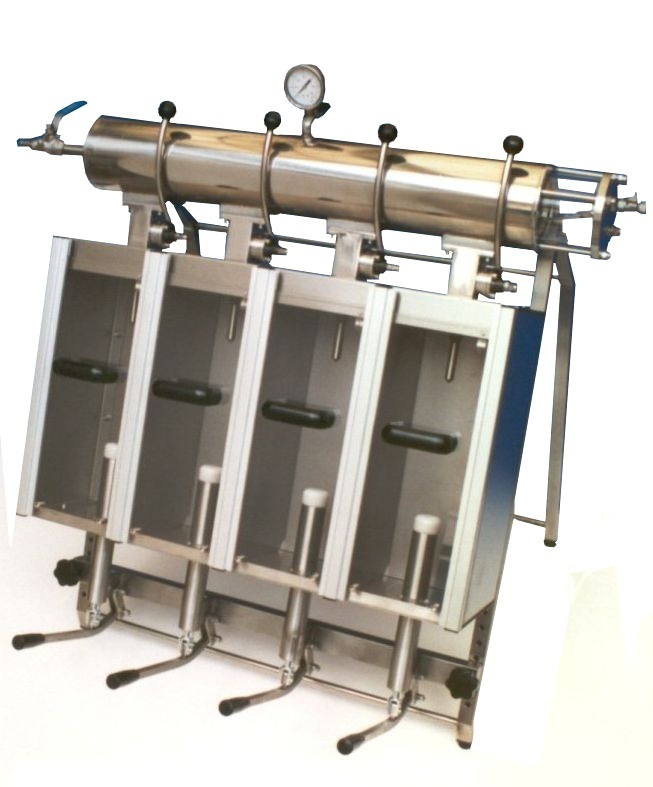 Simple Bag-in-Box filling system for filling 3, 5, 10 and 20 litre standard bags manually. Productivity up to 500 litres per hour. 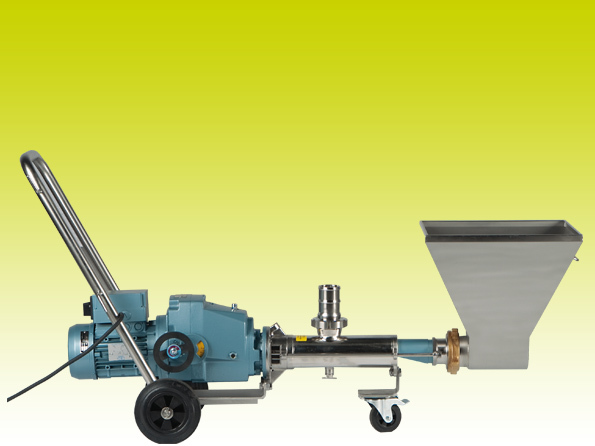 Bin emptying unit is specially designed for wash/grind combination WALC or WAR65. 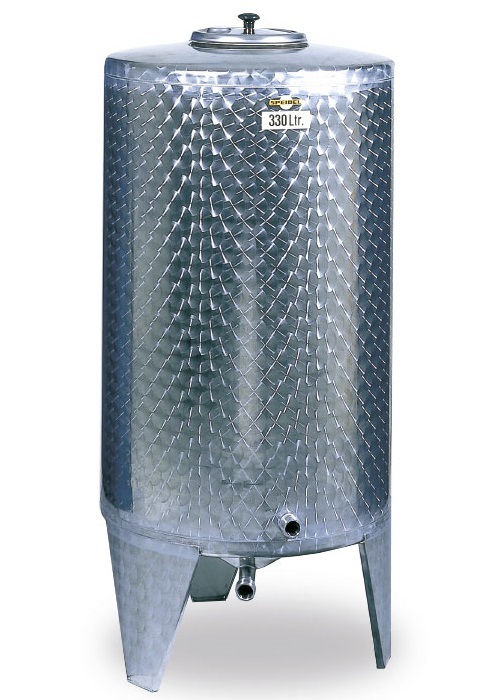 Open top stainless steel tanks Speidel BO series, variable capacity from 110 up to 1600 litres. 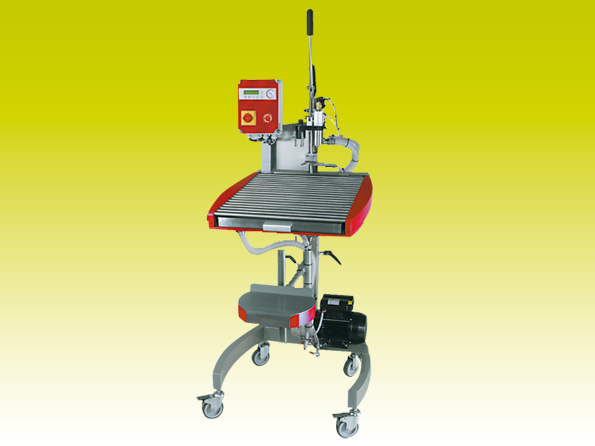 Mobile system with belt press EBP 500. 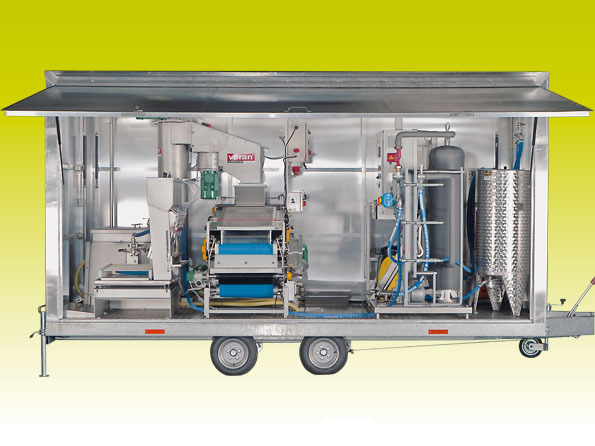 Includes all necessary equipment for juice production. It is possible to choose machines on your own. 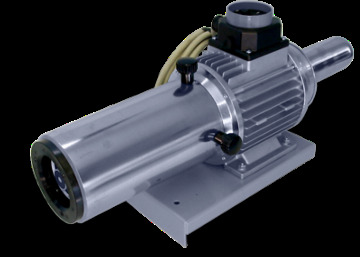 The impeller pump has a wide funnel where the pulp is fed to the pump and is made fully of stainless steel. 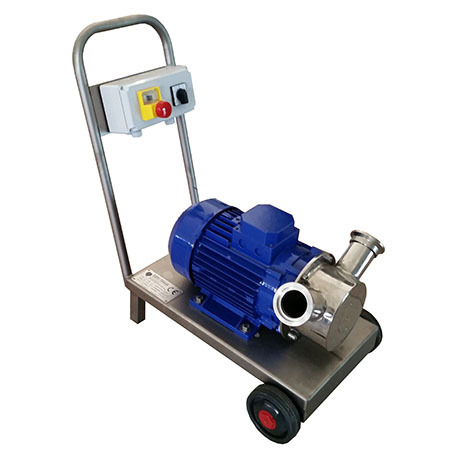 The pump can be operated manually or automatically with a dosing system connected to the press. 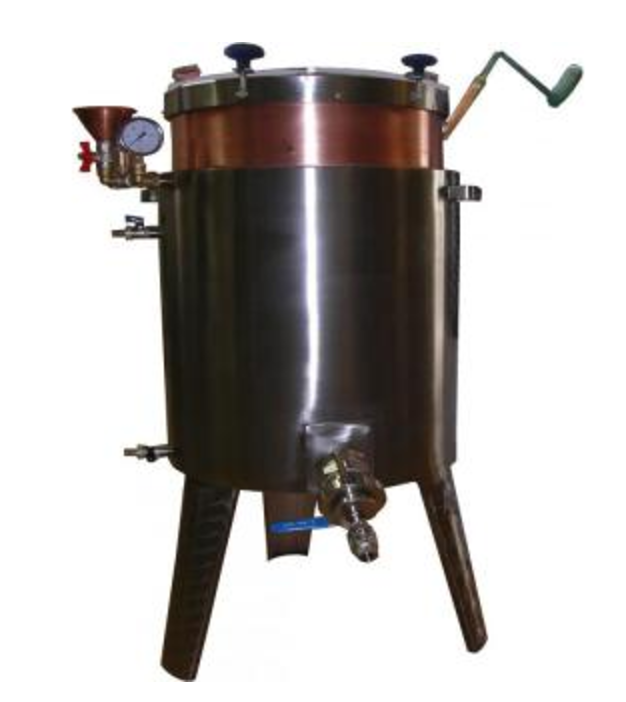 Boiling tanks with electric stirrer for producing jam or marmalade. Tanks are made of copper and have stainless steel water bath around them. 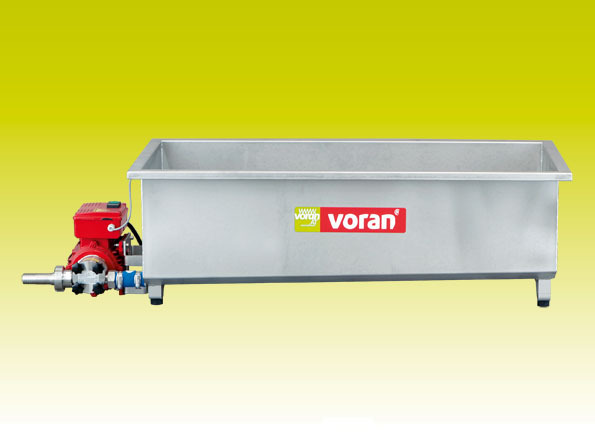 Available various sizes of tanks from 20 up to 120 litres. 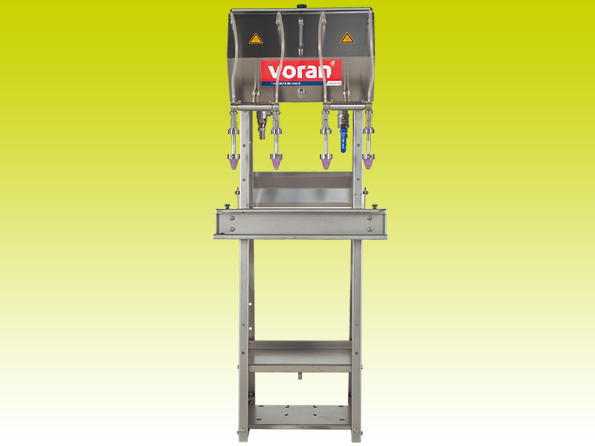 Voran EP 1000 de-stoning / straining system with changeable screens and adjustable rotor for de-stoning and straining different fruit and berries. The stones are ejected separately from the mash. 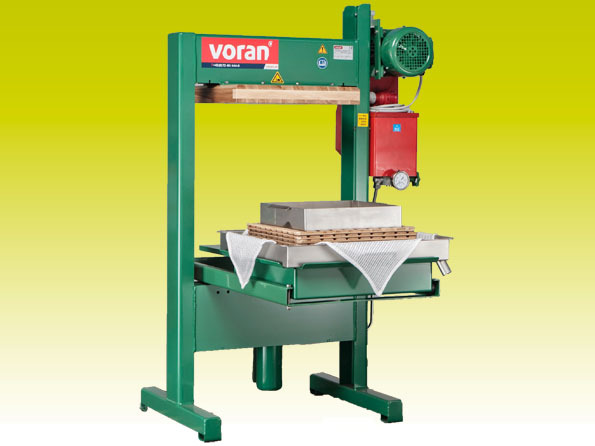 Productivity up to 1000 kg per hour. 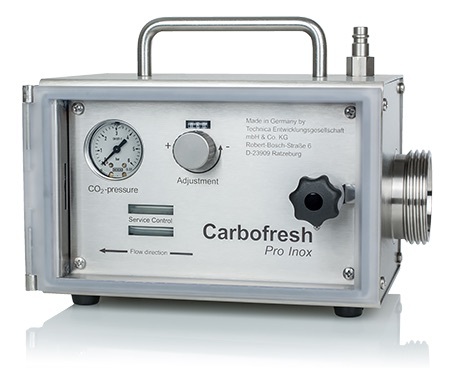 Carbonator Carbofresh Pro-Inox is suitable for producing beverages that contain CO2 with a content of up to 1,8 g/l. 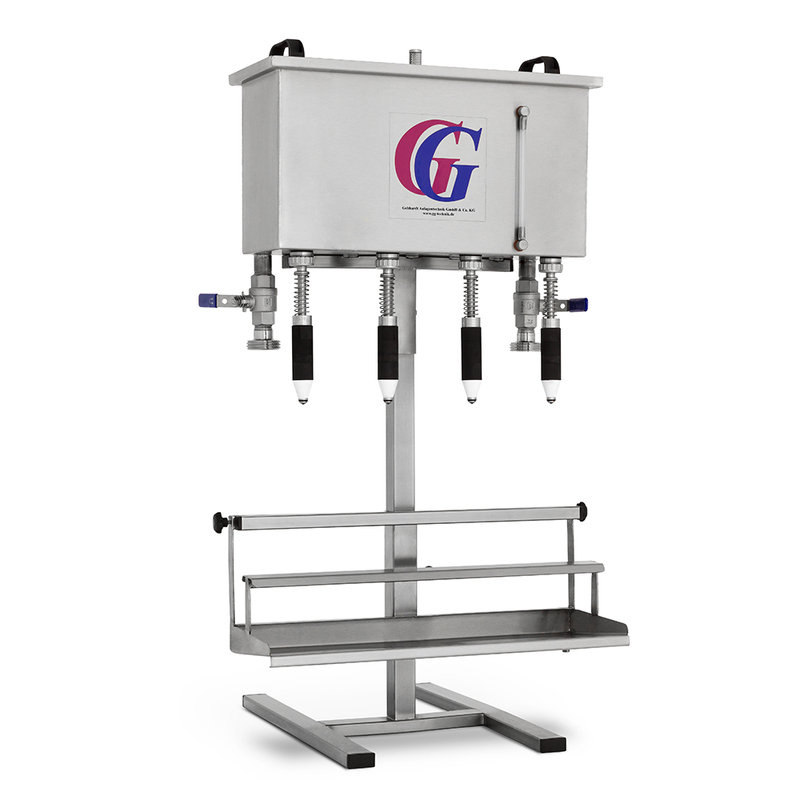 The device is suitable for producing sparkling wines, carbonated water, soft drinks and carbonated apple juice or apple wine. 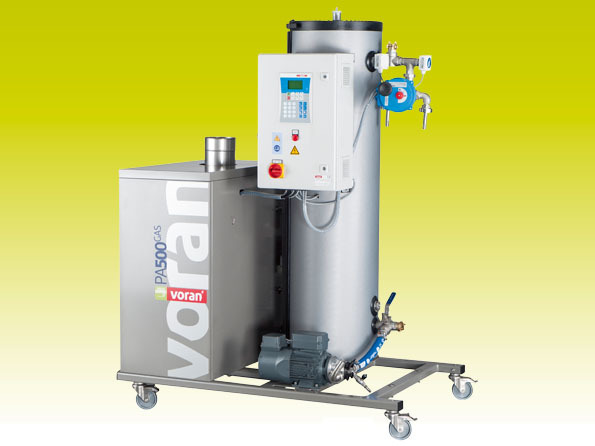 Maximum flow performance up to 12 500 l /h. Speidel's barrel from high quality PE plastic for storage and fermentation. Available in 3 sizes- 500, 1000 and 1500 litres. 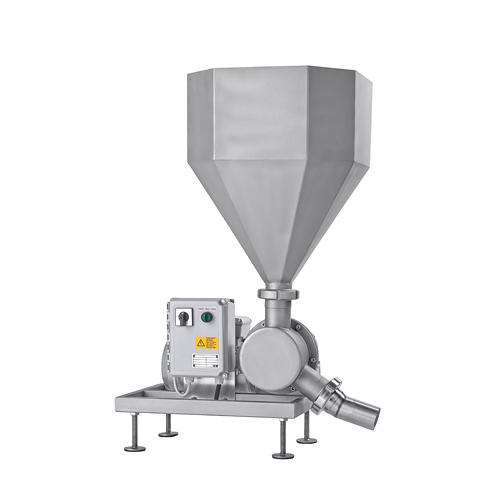 The washing system consists of sorting grid, washing vessel, chain conveyor and add-on pivoting centrifugal mill RM2.2. 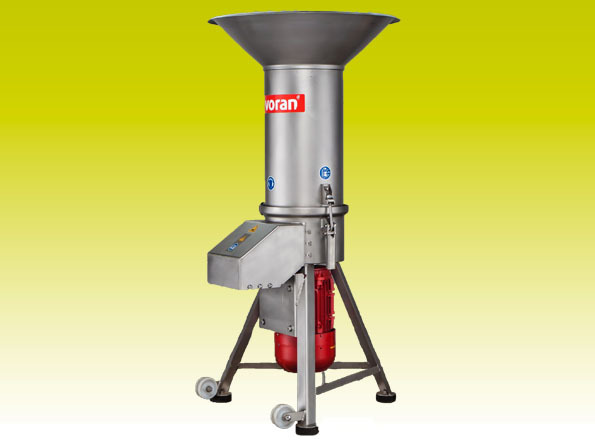 Suitable to use for processing fruit, berries and vegetables. Collection basin with 1 mm coarse screen. 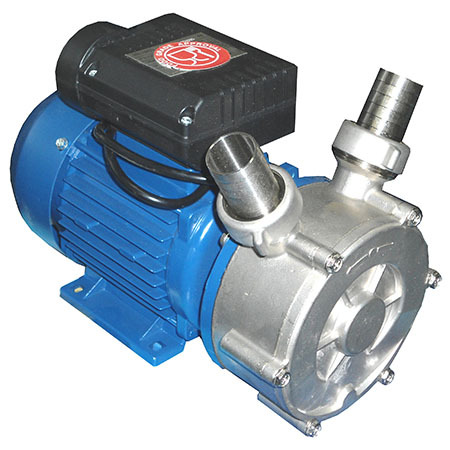 Easy and safe operation thanks to fully automatic impeller pump. 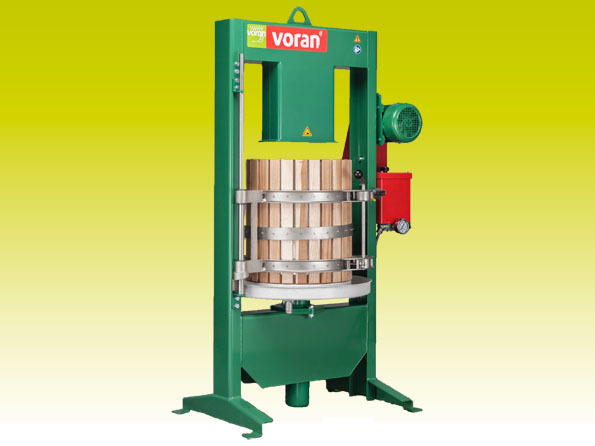 Juice collection tank is suitable for all Voran belt presses. Available models with 65- or 100-litre tank. 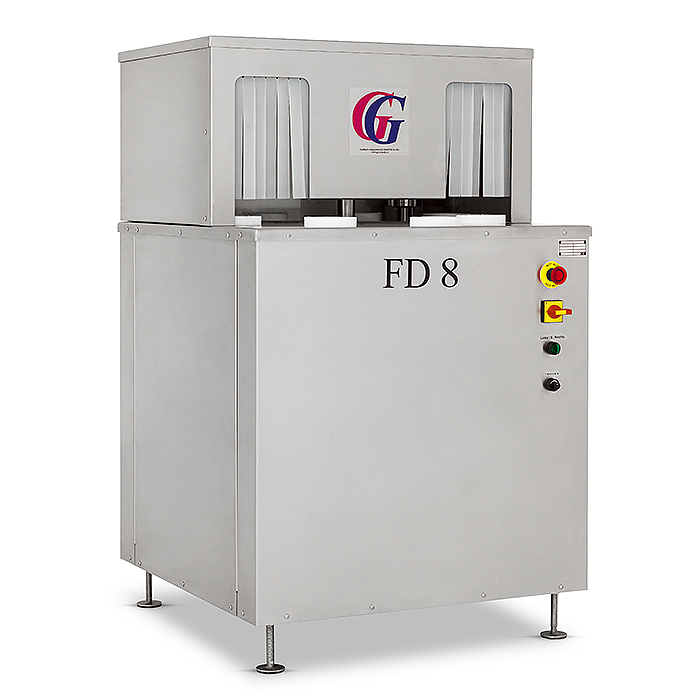 Semi-automatic Bag-in-Box filling system for filling 3, 5, 10 and 20 litre standard bags. Productivity up to 500 litres per hour. 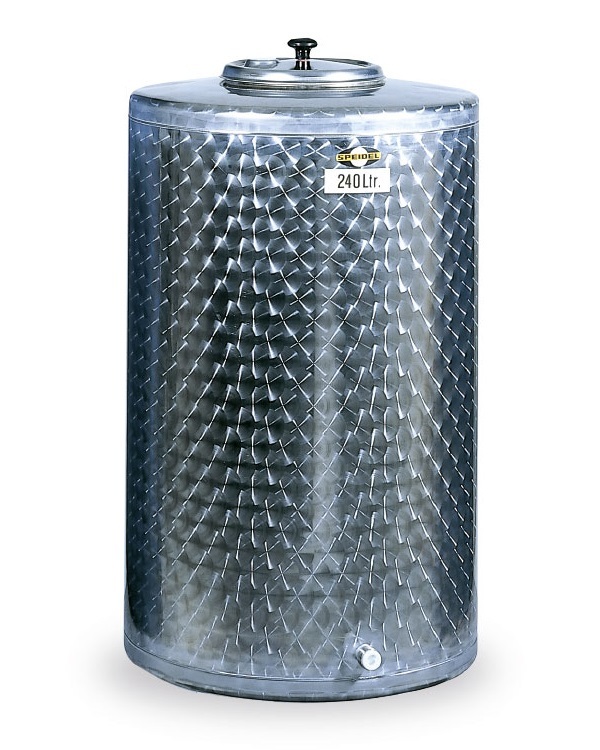 Stainless steel storage tank from Speidel, BD-series. Vaulted tank top with filling dome 220 mm. 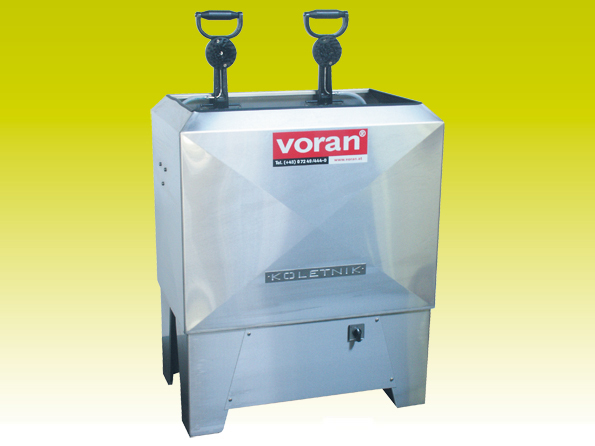 Variable capacity from 100 up to 320 litres. 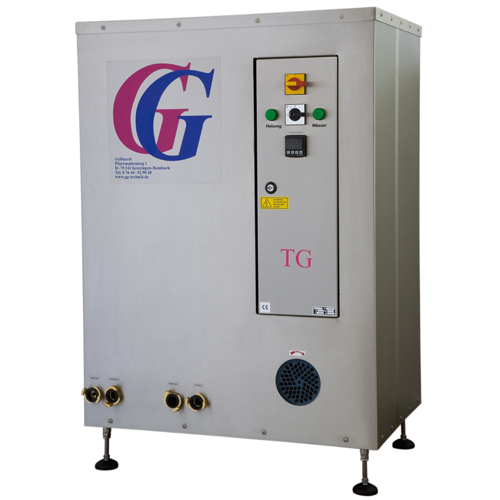 The three-stage carbonator Carbofresh Deluxe is suitable for producing beverages that contain CO2 with a content of up to 11 g/l. 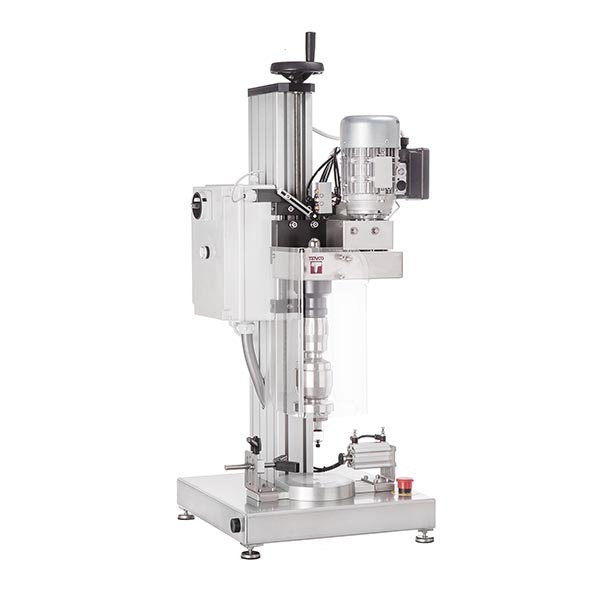 The device is suitable for producing sparkling wines, carbonated water, soft drinks and carbonated apple juice or apple wine. 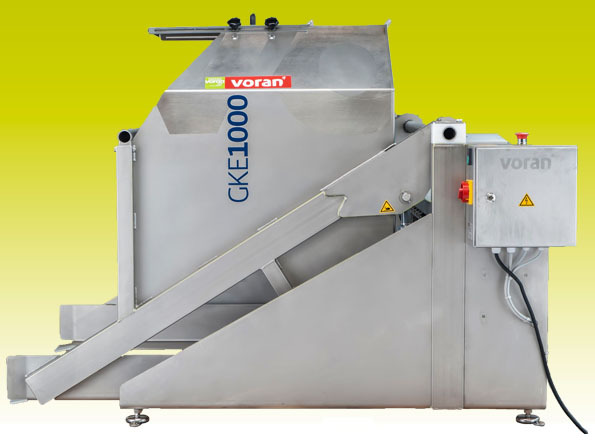 Maximum flow performance up to 20 000 l /h. Juice collection tank with external ENOS25 centrifugal pump is placed under juice pressed and it pumping the collected juice to the next processing step. 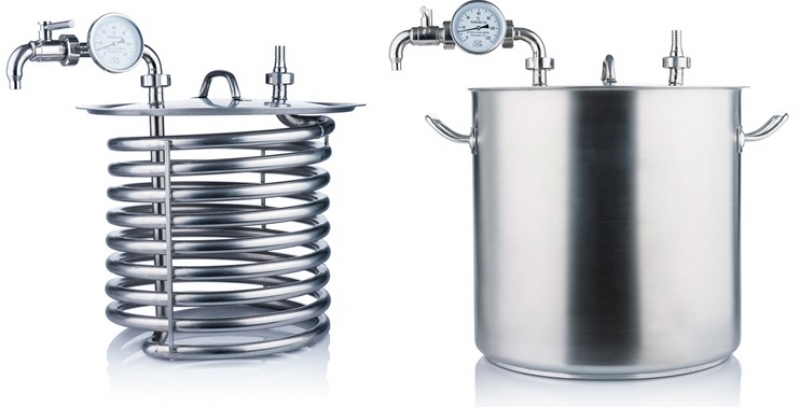 Boiling tanks with manual stirrer for producing jam or marmalade. Tanks are made of copper and have stainless steel water bath around them. 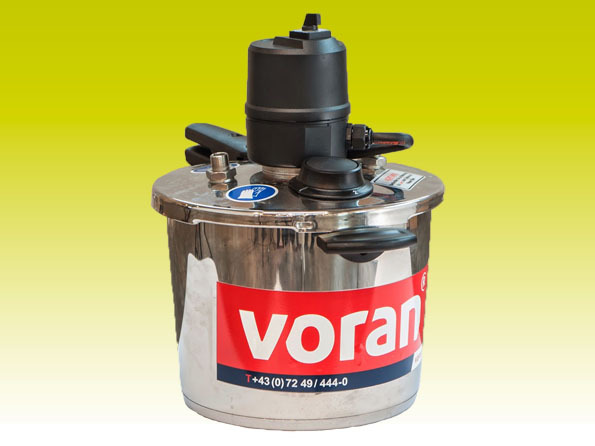 Available various sizes of tanks from 15 up to 120 litres. Pump that is mounted on a collection tank is placed under the shredder and it pumps shredded pulp straight to the press. Productivity up to 9500 liters per hour. 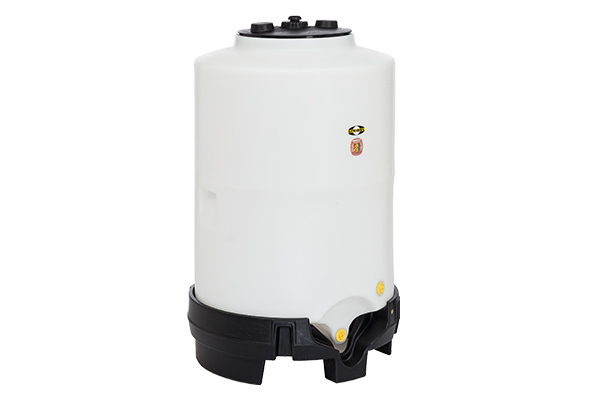 Speidel's weather-proof storage tank for indoor and outdoor use. 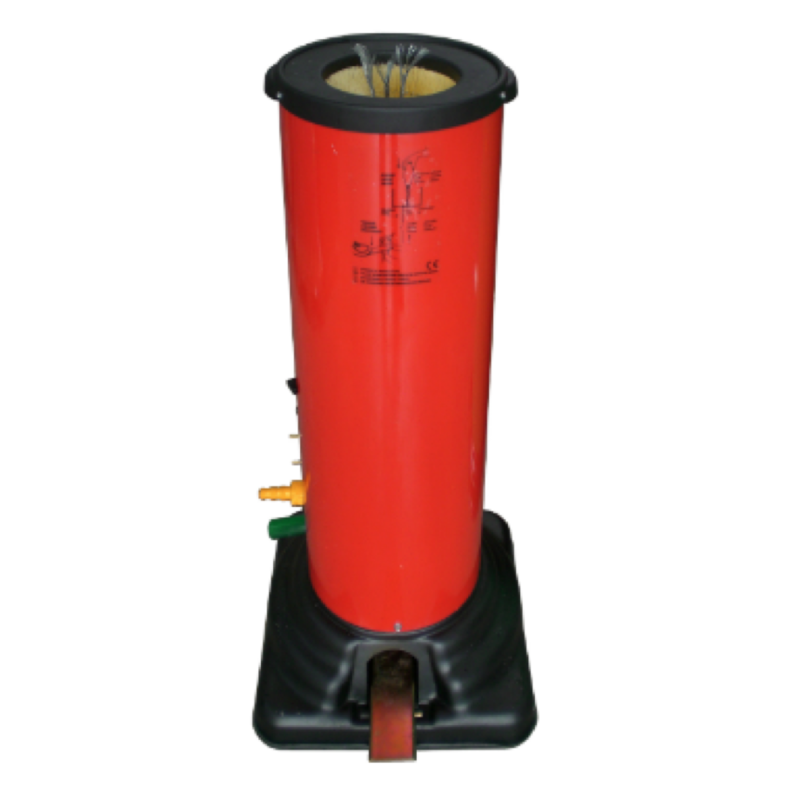 Available models made of PE or PP plastic with capacity of 6 000 or 10 000 litres. 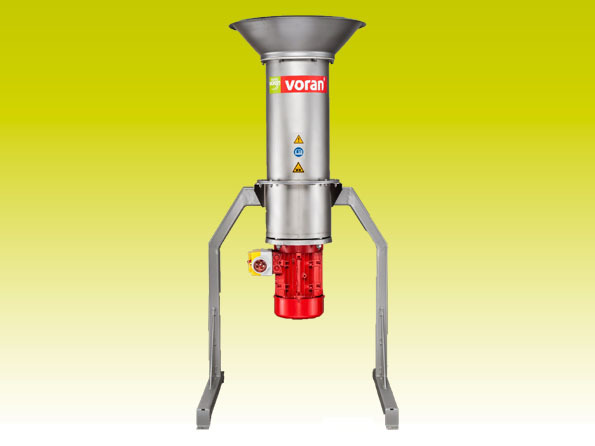 Washing system consisting of washing vessel, vertical auger-type elevator and add-on centrifugal Voran mill RM40. 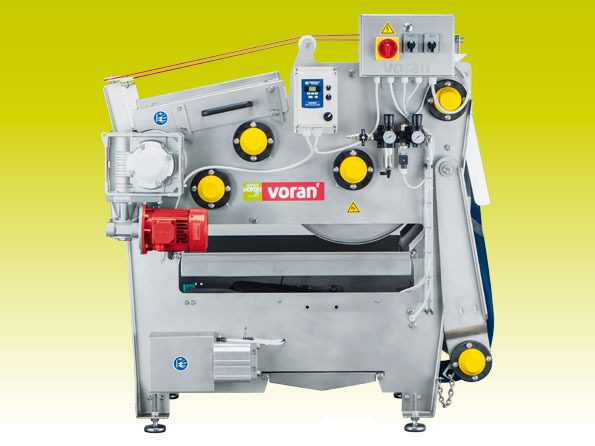 Versions available for the Voran hydraulic packing presses with rotating trays (100PS/180PS) and the Voran EBP500/580/650 belt presses. 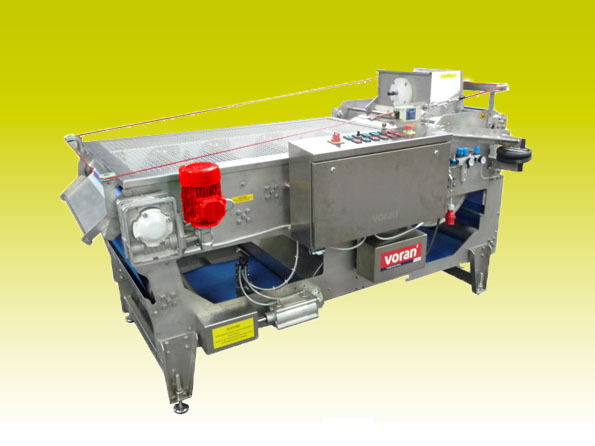 Semi-automatic Bag-in-Box filling system with feed line vessel for hot filling of fruit and vegetable juice in 3, 5, 10 and 20 litre standard bags. Productivity up to 500 litres per hour. 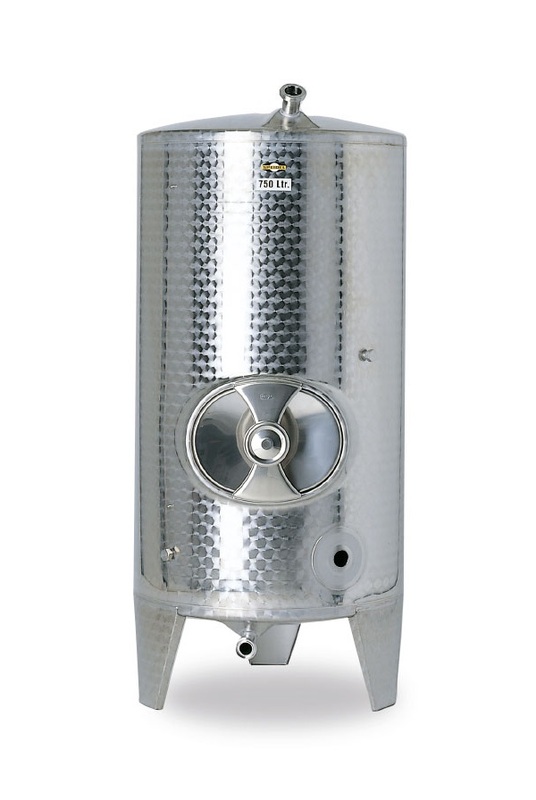 Stainless steel storage tank Speidel FD series, equipped with welded-on stainless steel legs and an additional bottom outlet. Variable capacity from 100 up to 625 litres. 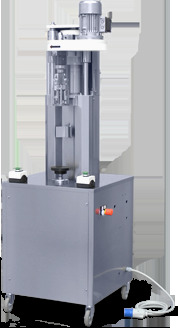 Descending head capping machine from Tenco for aluminium, plastic screw or twist-off caps. 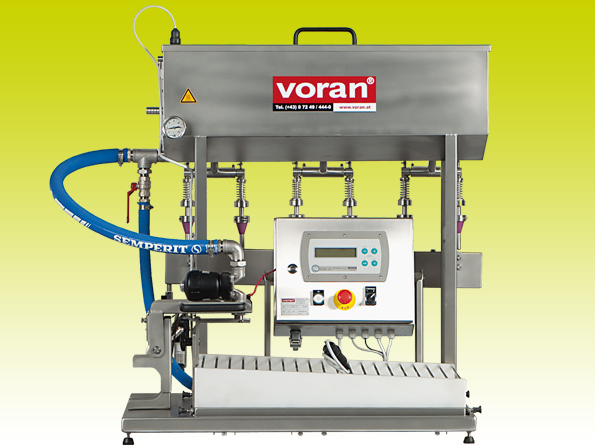 Productivity up to 500-600 bottles per hour, single or three phase model. 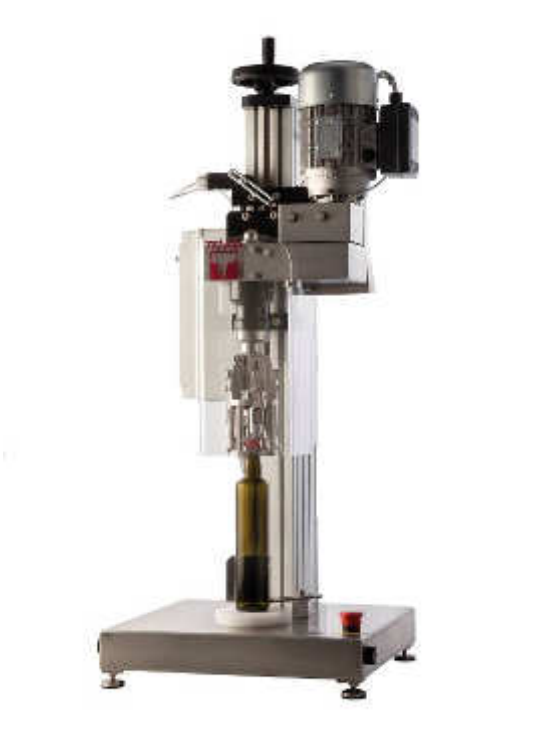 Ribagas carbonator allows to add the carbon dioxide directly into the bottle right before the bottle is capped, suitable to use with plastic and glass bottles. 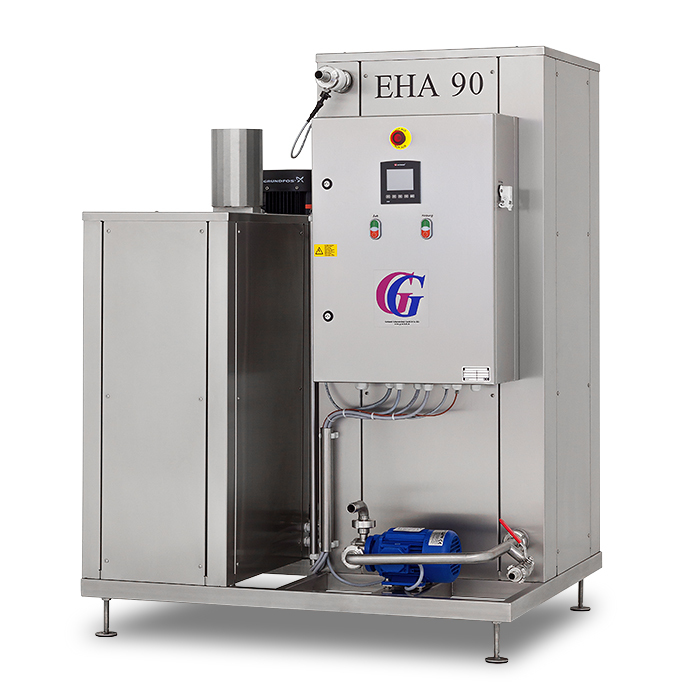 Pasteuriser with pass-through system for pasteurising juice, with a productivity of 60 to 80 litres per hour. 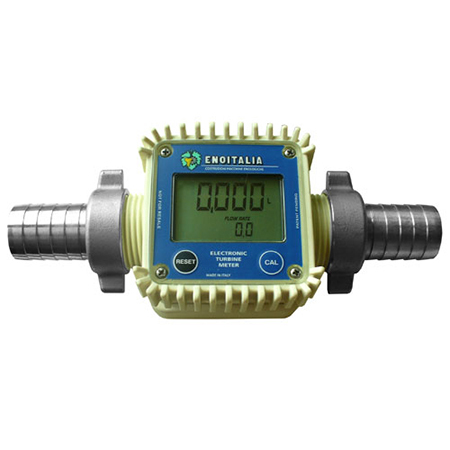 Digital flow meter is suitable to use with liquid food e.g. wine, milk, beer, fruit juices etc. Productivity 30 to 130 liters per minute. Speidel's plastic storage tank for shredded fruit mash. 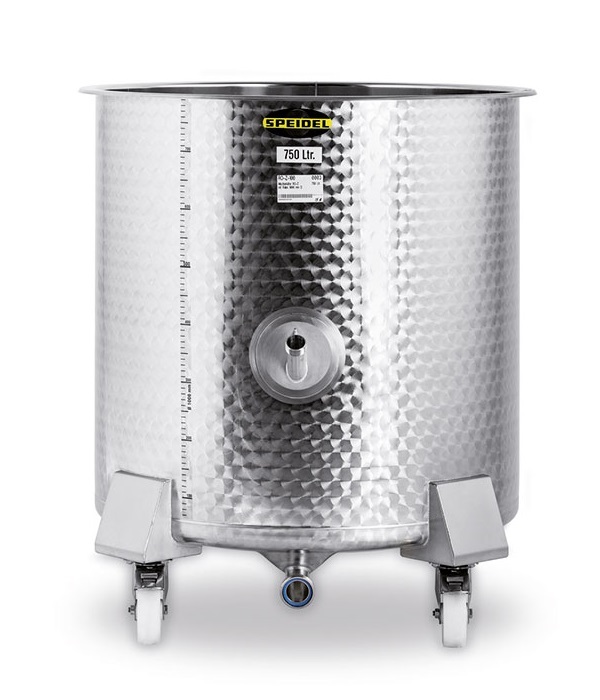 Tank is equipped with airtight sealable lid which helps to keep the mash fresh for longer. Available in two sizes- 600 or 1000 litres. Centrifugal mill with exchangeable stainless steel screens for setting the grinding fineness and productivity of 650 kg per hour. Ideal for mashing for distilleries. Suitable for pomaceous fruit, stone fruit and berries. 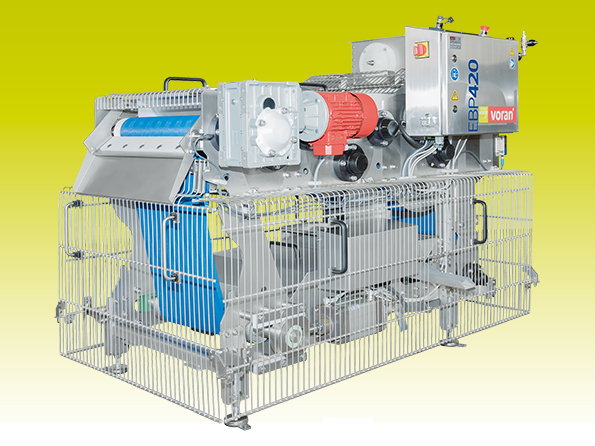 Semi-automatic Bag-in-Box filling system with feed line vessel for hot filling of fruit and vegetable juice in 3, 5, 10 and 20 litre standard bags. 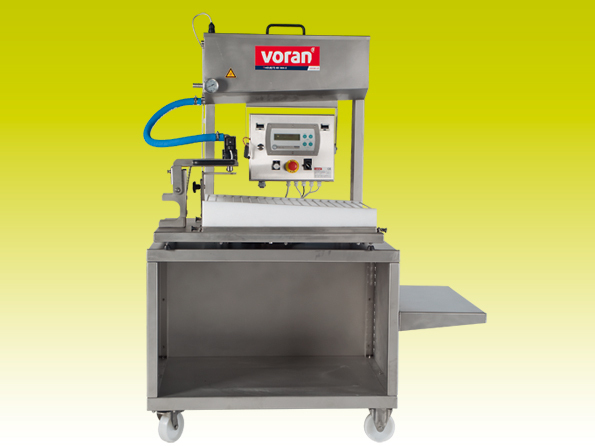 Productivity up to 750 litres per hour. 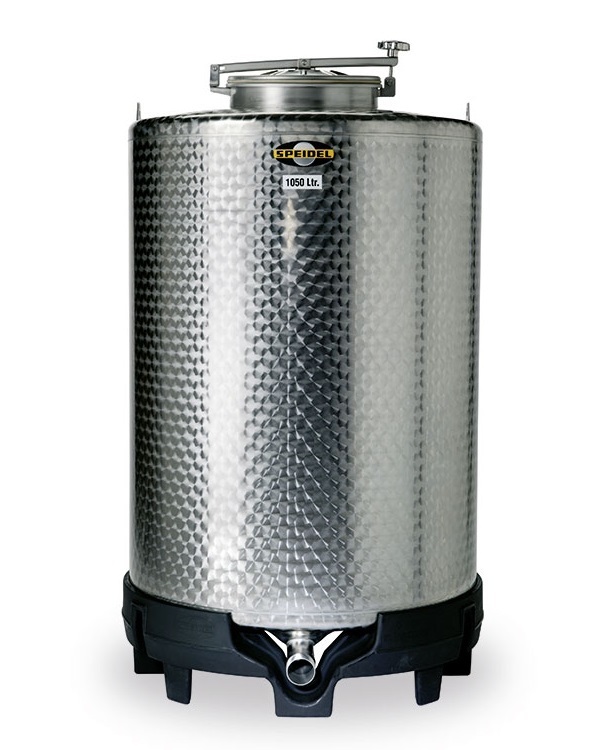 Open top stainless steel tanks Speidel FO1 series, variable capacity from 220 up to 910 litres. 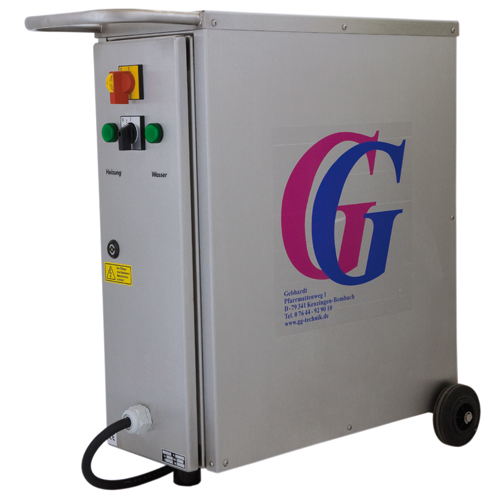 Electric pasteuriser with heating coil and tube heat exchanger. Productivity 120 l/h, power 6kW. 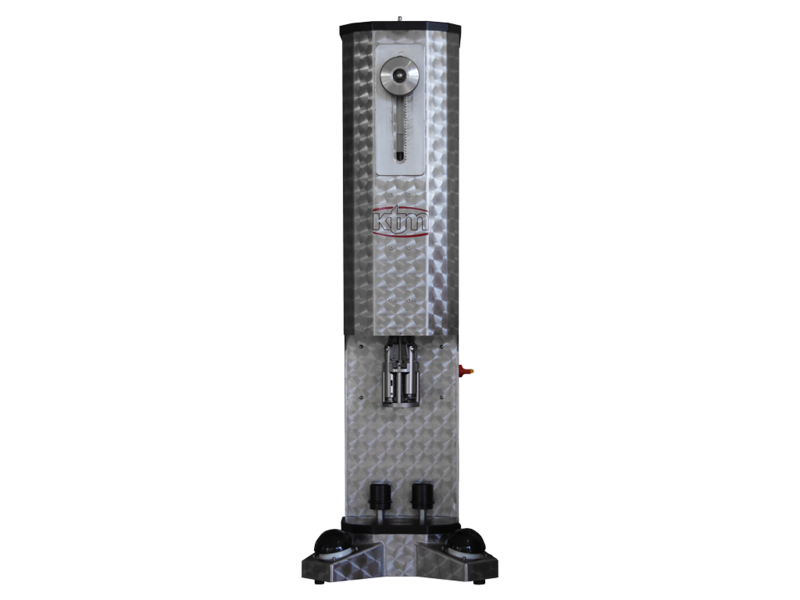 The ''Polver'' saturator is suitable for carbonating drinks that need strong saturations with very fine sparkles. 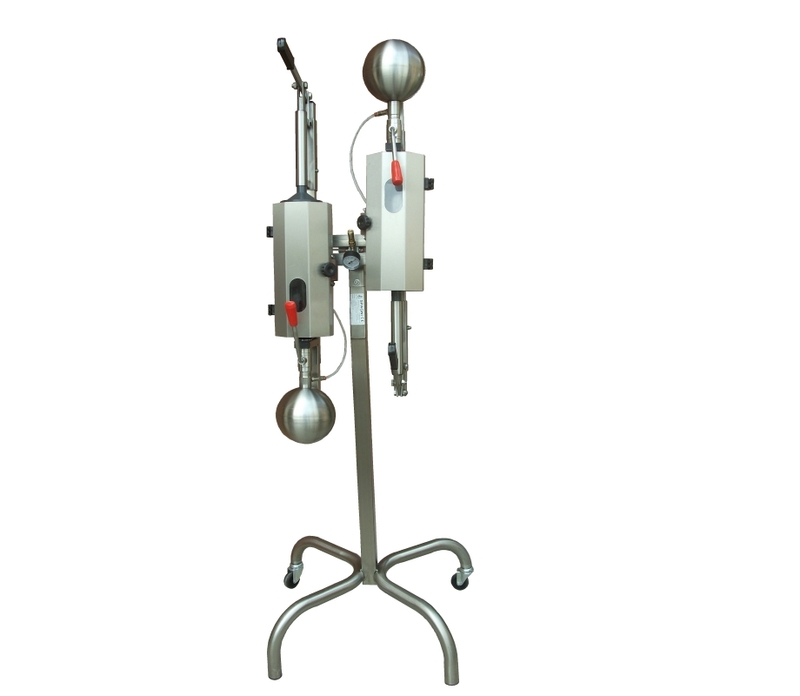 It is suitable for carbonating water, sparkling wine, soft drinks and cider. This machine is not suitable for carbonating craft beer. 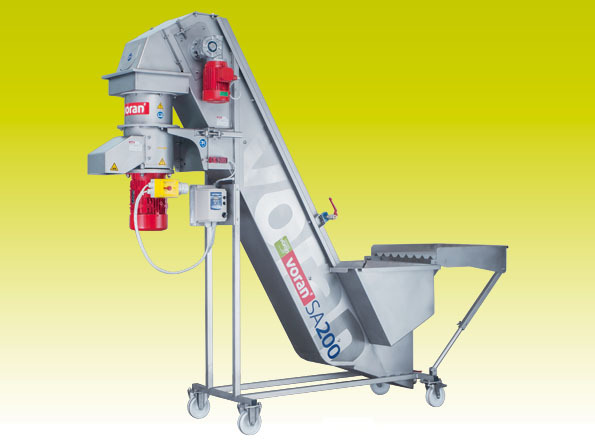 Available regular andProductivity of the ''Polver Mini'' 300 l/h and ''Polver'' 500 l/h. 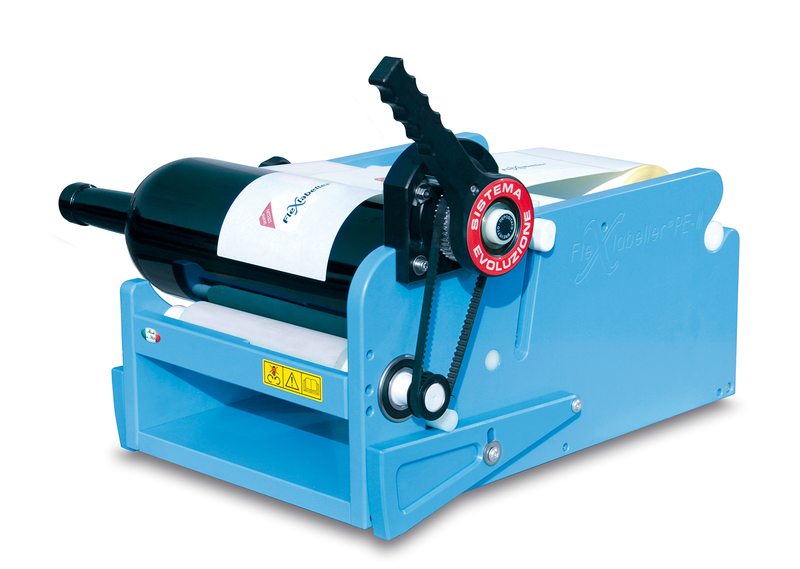 Semi-automatic capping machine with lever for PFP caps (aluminium screw caps) with or without pourer from Tenco, made in Italy. 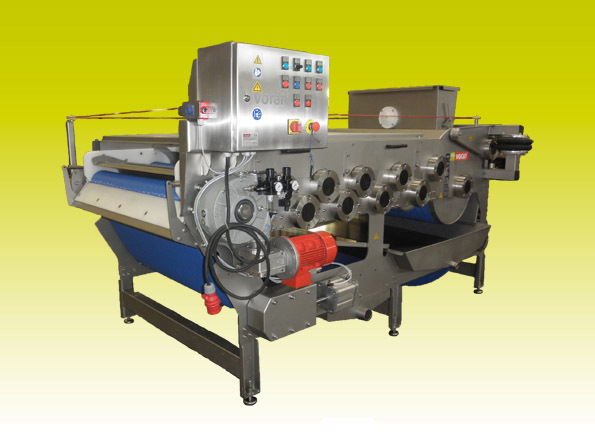 Semi-automatic Bag-in-Box filling system with feed line vessel for hot filling of fruit and vegetable juice in 3, 5, 10 and 20 litre standard Bag-in-Box bags or 0.25 - 2 litre bottles. 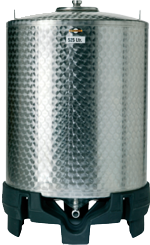 Open top stainless steel tanks Speidel FO1 series, variable capacity from 300 up to 910 litres. 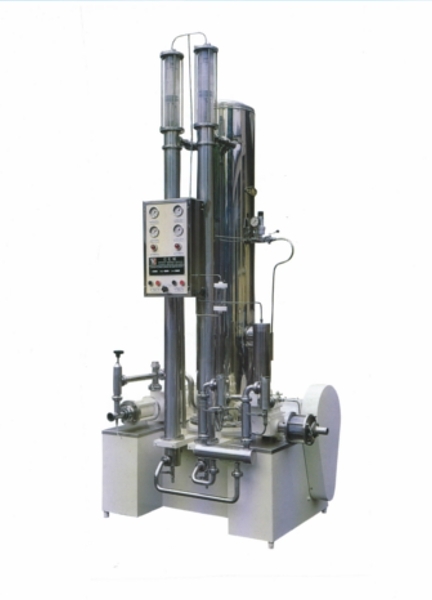 Stainless steel capping machine with descending head for PFP caps (aluminium screw caps) with or without pourer from Tenco, made in Italy. 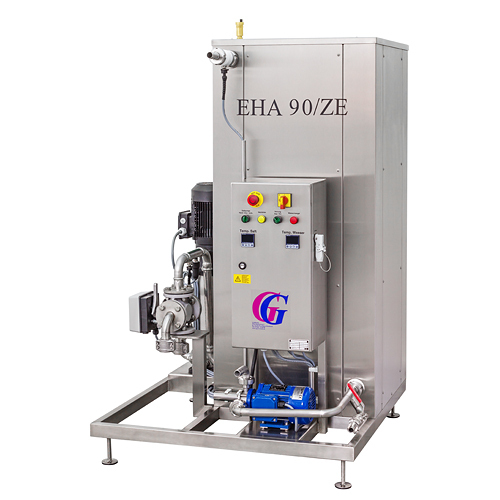 Electric pasteuriser with heating coil and tube heat exchanger, productivity from 100 l/h up to 180 l/h. 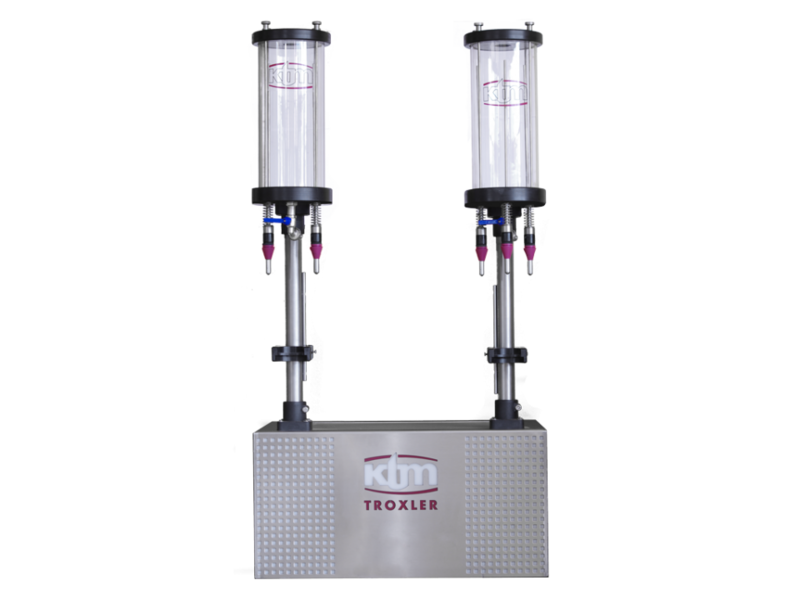 Available models with 1 (9kW model) or 2 bottle fillers (18 kW model). 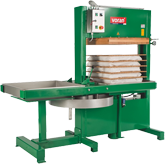 Bag-in-Box filler is also available for 18 kW model. Centrifugal mill with exchangeable stainless steel screens for setting the grinding fineness and productivity of 4200 kg per hour. Suitable for pomaceous fruit, stone fruit, berries and rhubarb. 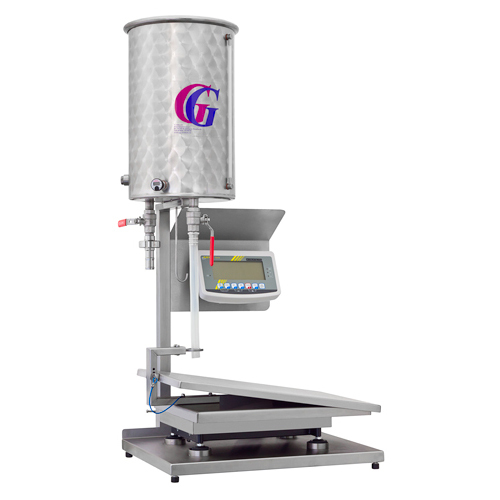 Manual Bag-in-Box filling system for hot filling of fruit and vegetable juice and cold-filling wine in 3, 5, 10 and 20 l standard bags or 1,5 - 5l pouch-bags. 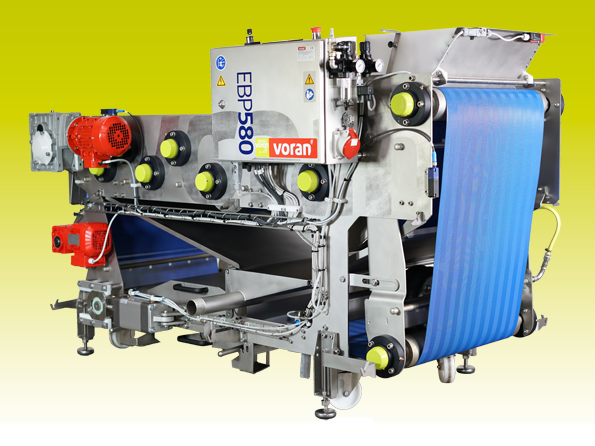 Productivity up to 1500 litres per hour. 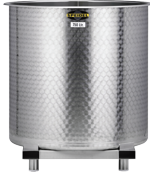 Open top stainless steel tanks Speidel FO series, variable capacity from 1100 up to 25 000 litres and diameter from 1000 to 2400 mm. Most versatile and multifunctional tanks from Speidel due to various sizes and available accessories. 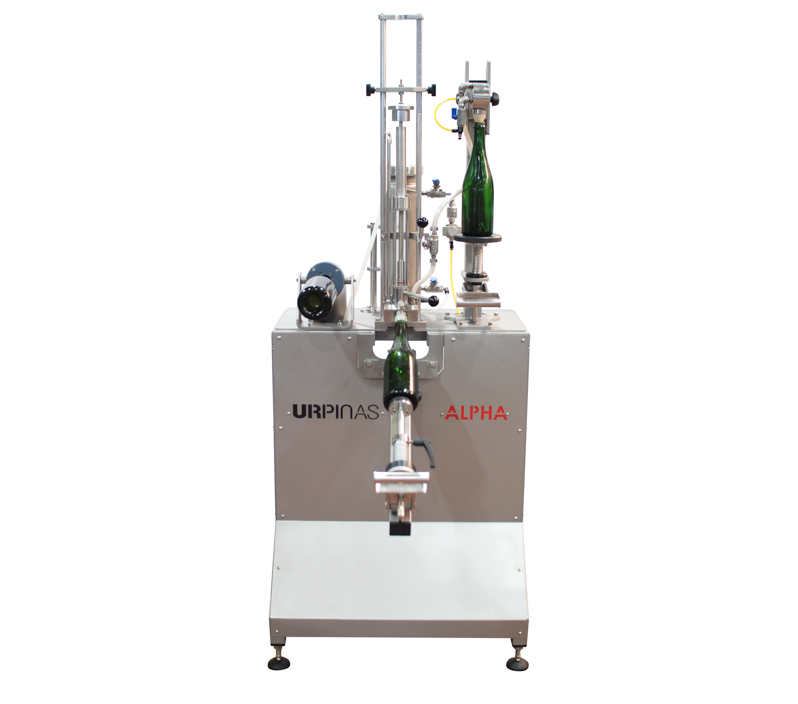 Manual machine Alpha is designed for disgorging, liquor dispensing and topping up traditional class champagne bottles. Suitable for class bottles with capacity of 37,5 cl; 75 cl and 150 cl. Output up to 150 bottles per hour. Centrifugal mill with exchangeable stainless steel screens for setting the grinding fineness and productivity of 1000 kg per hour. Ideal for mashing for distilleries. Suitable for pomaceous fruit, stone fruit and berries. 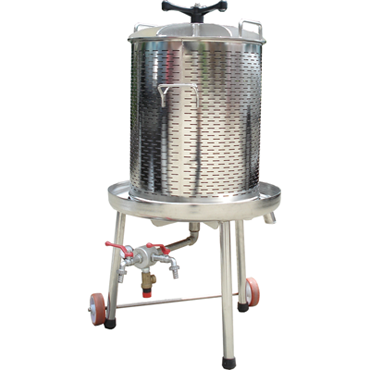 Stainless steel fermentation and storage tank Speidel FD-ZKG series with serial double jacket and standing on three legs. 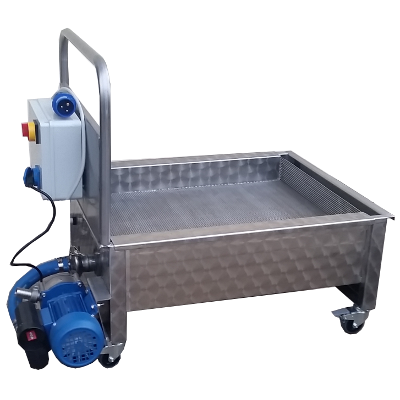 Variable capacity from 120 up to 625 litres. 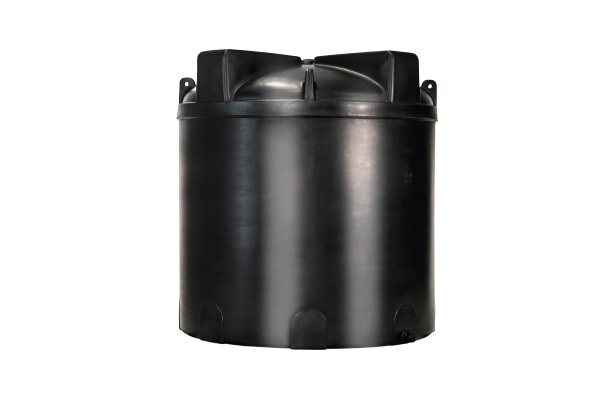 Stainless steel tank for mixing and transportation, SO-Z series, with PE-transportation and storage base, accessible from underneath by forklift. Mixer available as an accessory. Variable capacity from 530 up to 1000 litres. 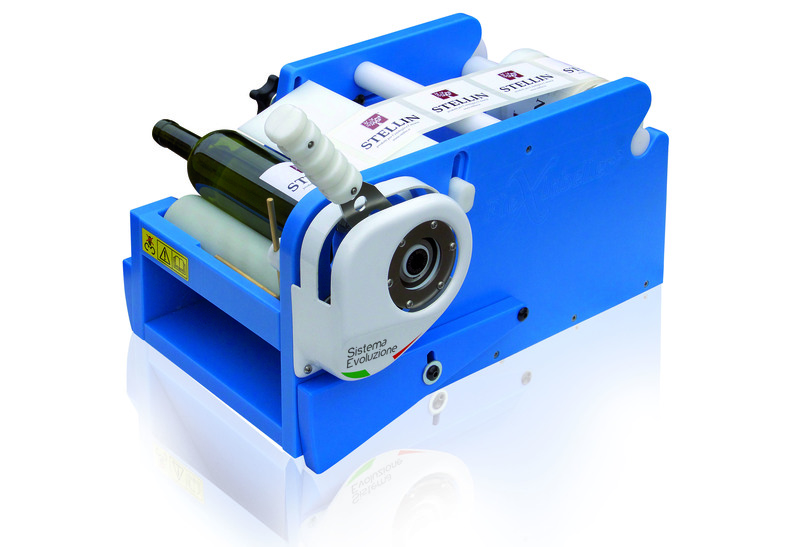 Stainless steel semi-automatic capping machine PG2010 is suitable for straight natural corks. 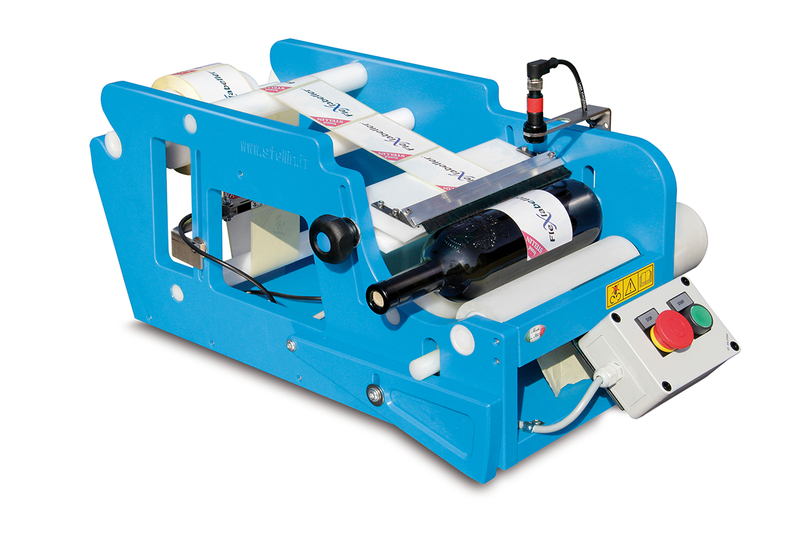 It is ideal for capping wine bottles. 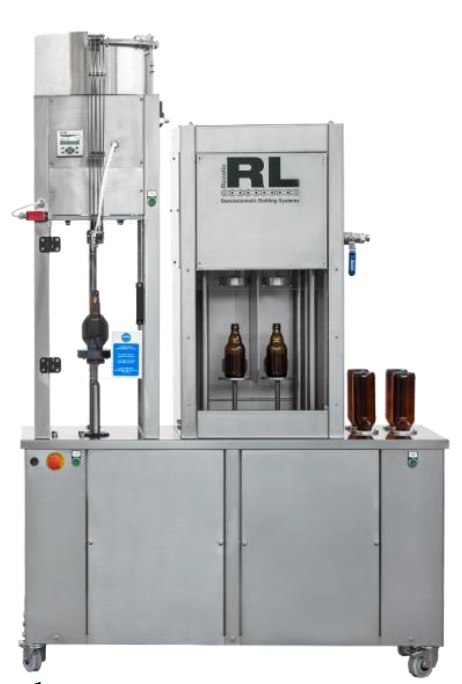 Productivity up to 1000 bottles per hour. 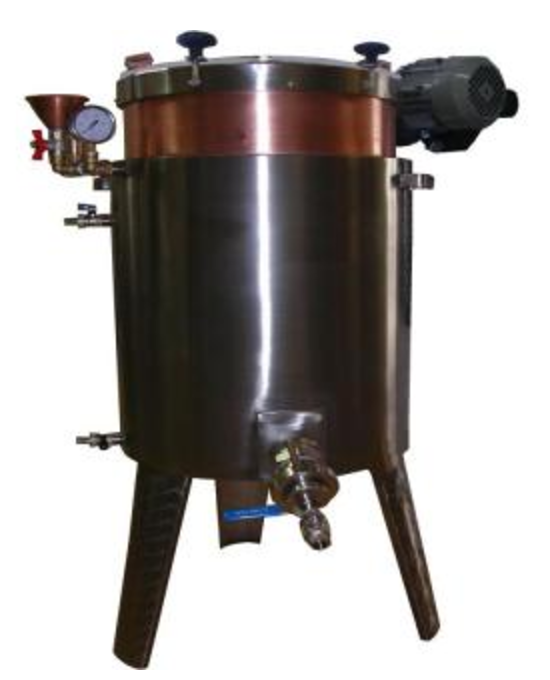 Stainless steel tank for mixing and transportation, RO-Z series. Tanks have high-quality rollers for easy transportation. Mixer available as an accessory. Variable capacity from 530 up to 1000 litres. 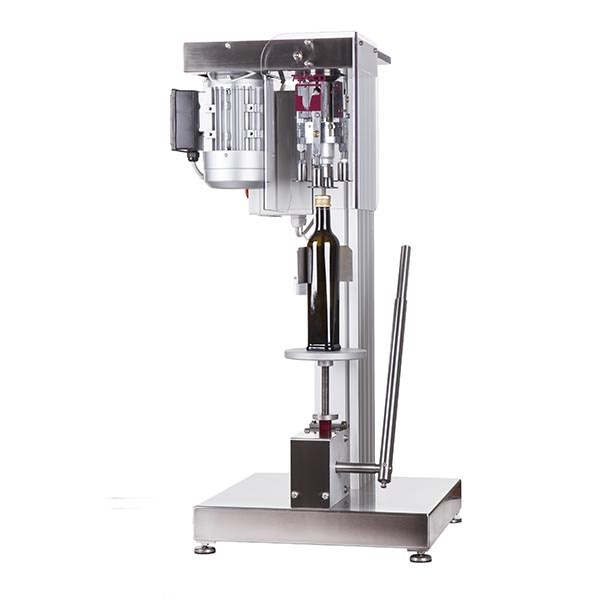 Stainless steel semi-automatic capping machine PG2010 S is suitable for mushroom shaped champagne corks. 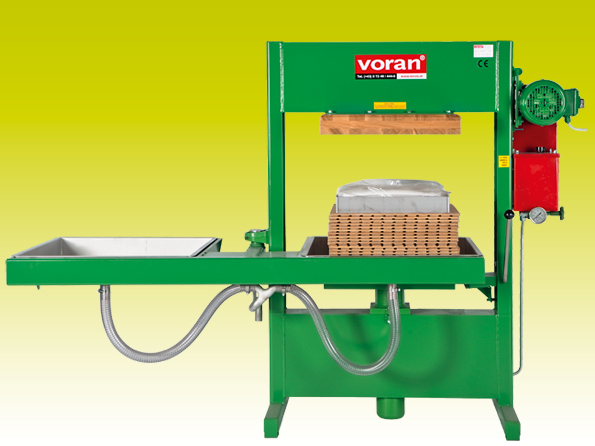 It is ideal for capping champagne and sparkling wine bottles. Productivity up to 500 bottles per hour. 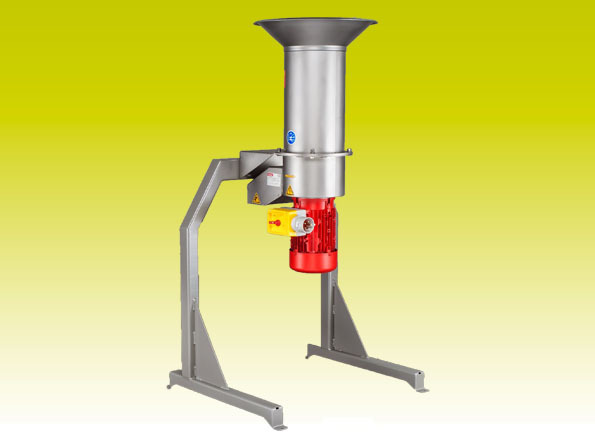 Stainless steel mixing /blending, transportation and tipping tank from Speidel, KO-series. Tanks have stainless tube feet. 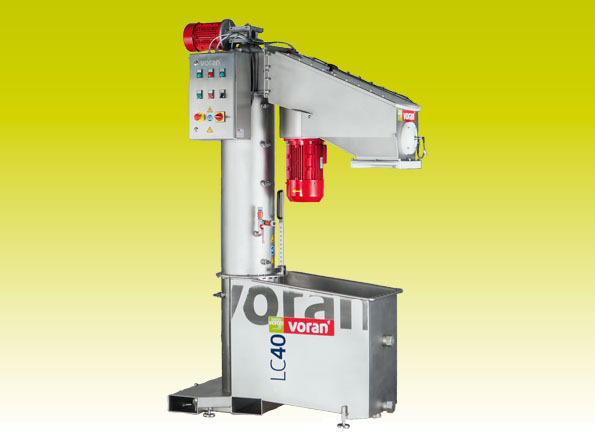 Variable capacity from 380 up to 1050 litres. 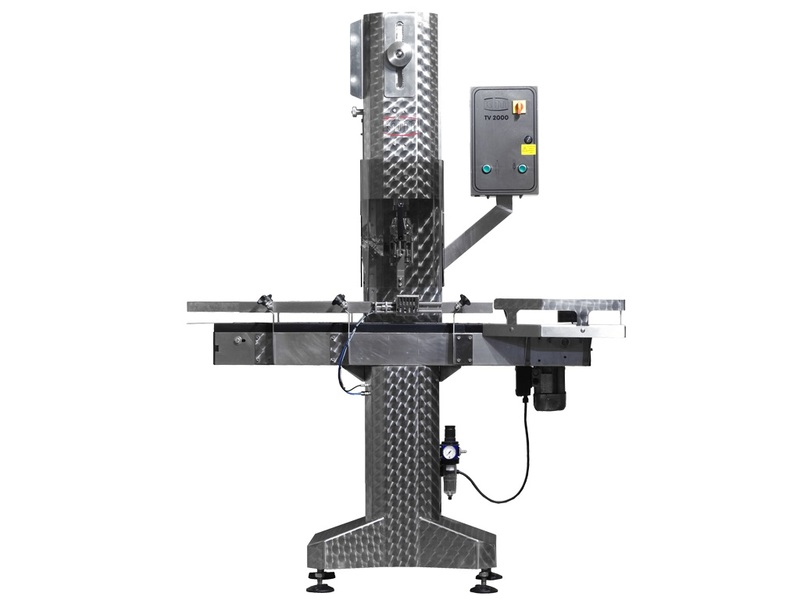 Semi-automatic capping machine is suitable for aluminium screw (ROPP) caps. 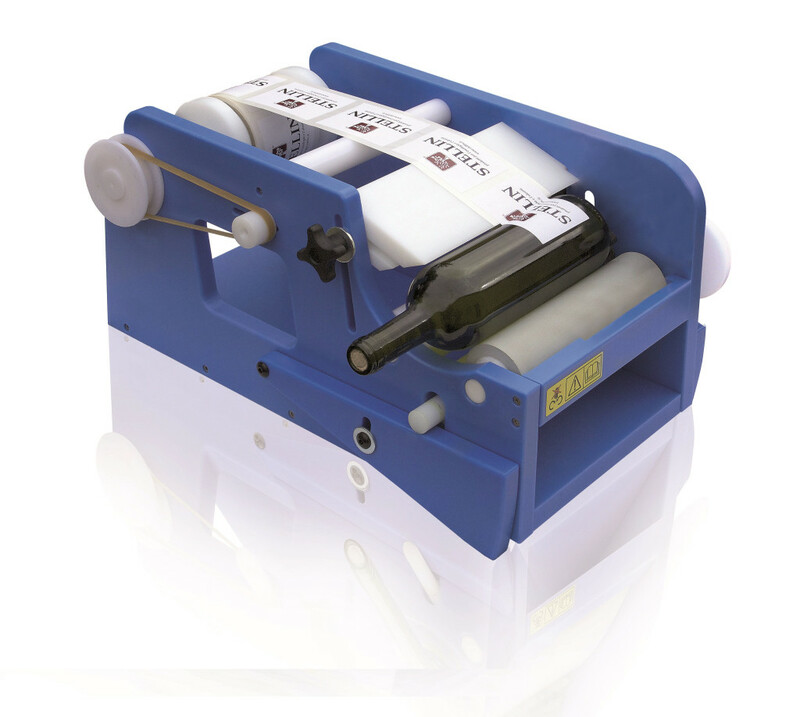 It is ideal for capping wine, liquor and oil bottles. Productivity up to 500 bottles per hour. 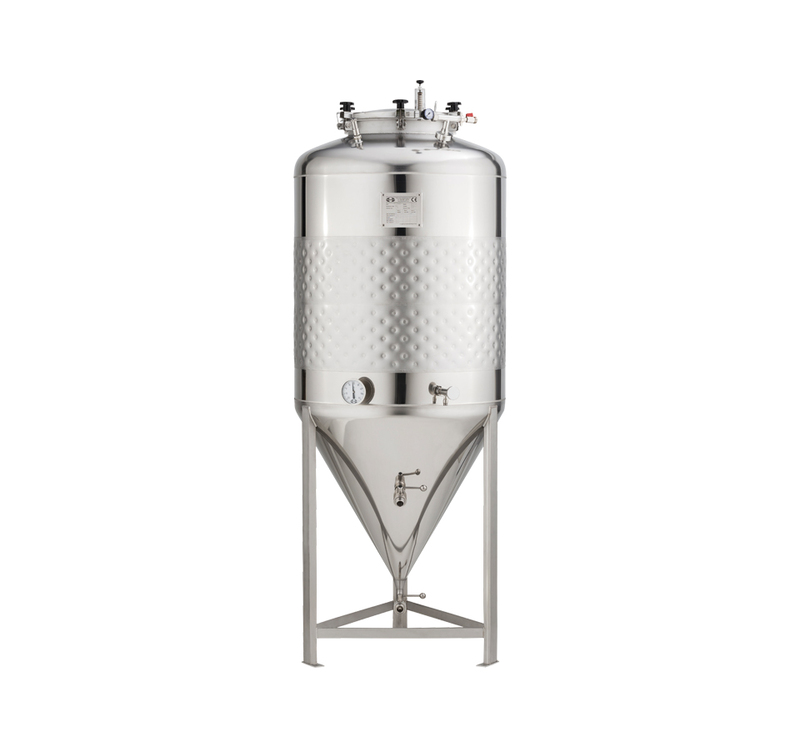 Stainless steel distilling mash tanks, FD-B series. Tanks have plastic base for transportation. 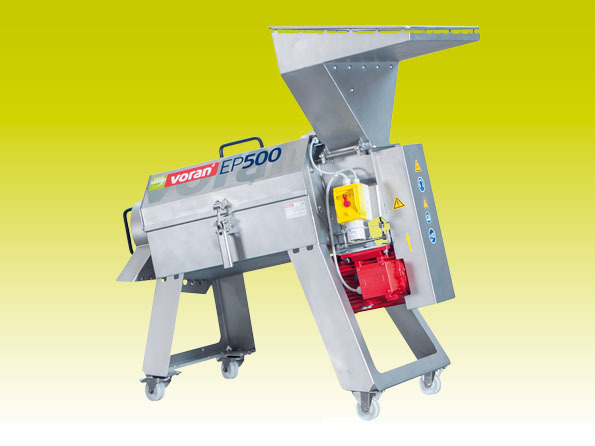 Variable capacity from 525 up to 1850 litres. 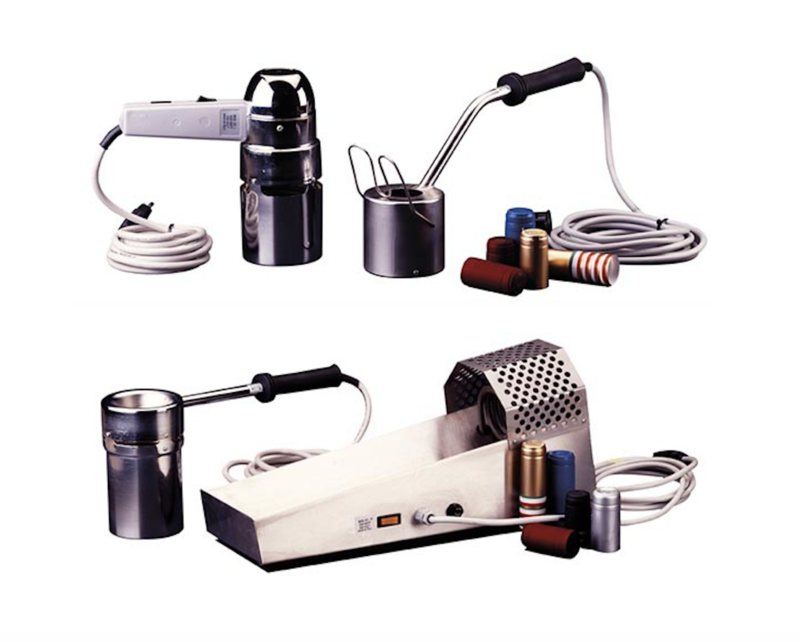 Semi-automatic capping machine with descending screw head is suitable for aluminium screw (Stelvin) caps. 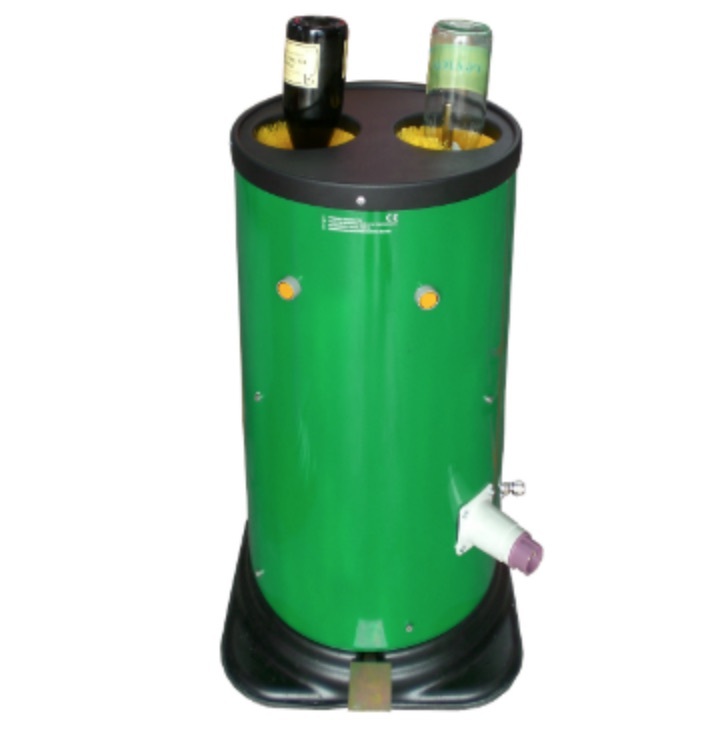 It is ideal for capping wine, liquor and oil bottles. Productivity up to 500 bottles per hour. Stainless steel tank for transportation and storage, SD-T series, with PE-base that is accessible from underneath by forklift. 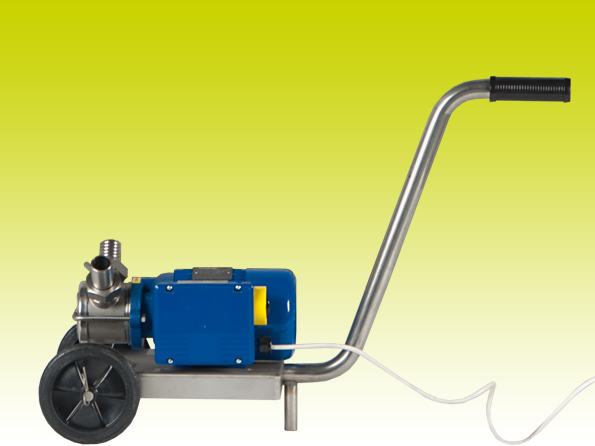 Variable capacity from 320 up to 1000 litres. 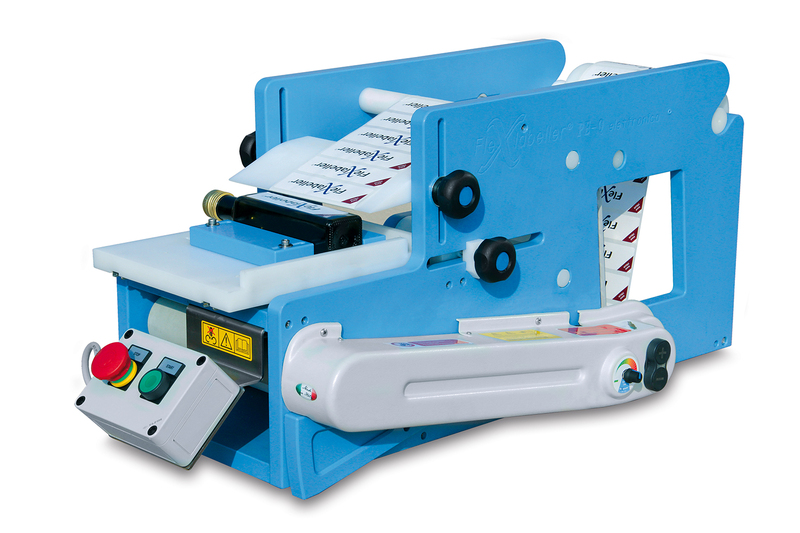 Semi-automatic capping machine with descending screw head is suitable for 26 and 29 mm crown caps and is necessary to place on a workbench. 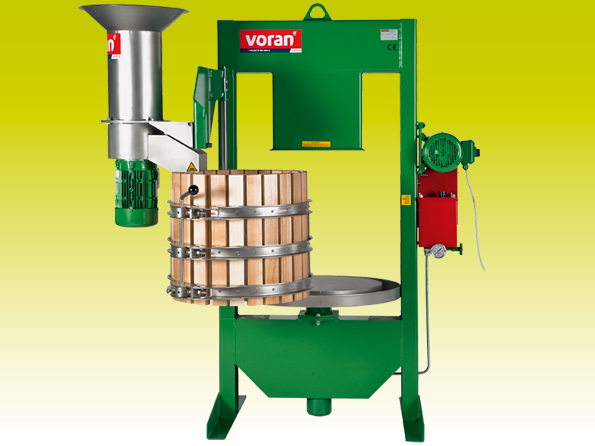 It is ideal for capping class cider and beer bottles. Productivity up to 400 bottles per hour. 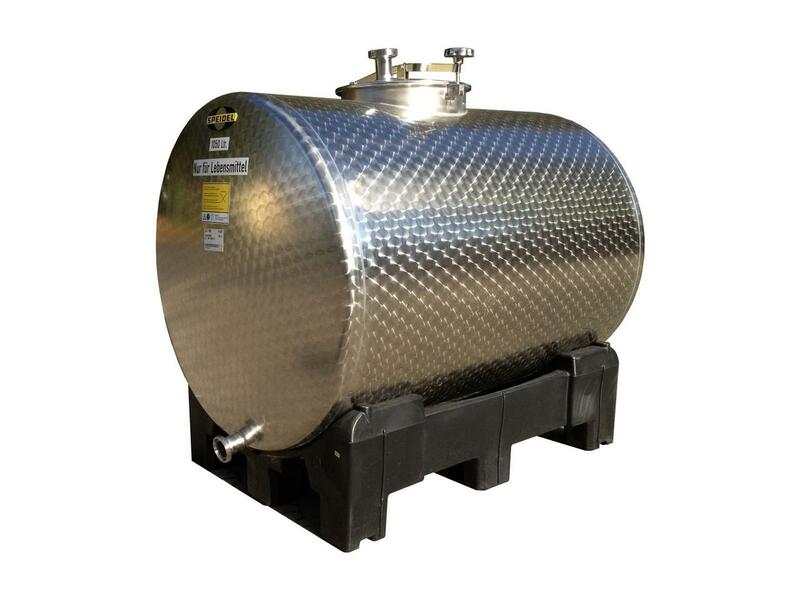 Stainless steel horizontal transportation and storage tank from Speidel, LD-T series. Tank has lockable lid with vent neck. Capacity of 1050-litres. 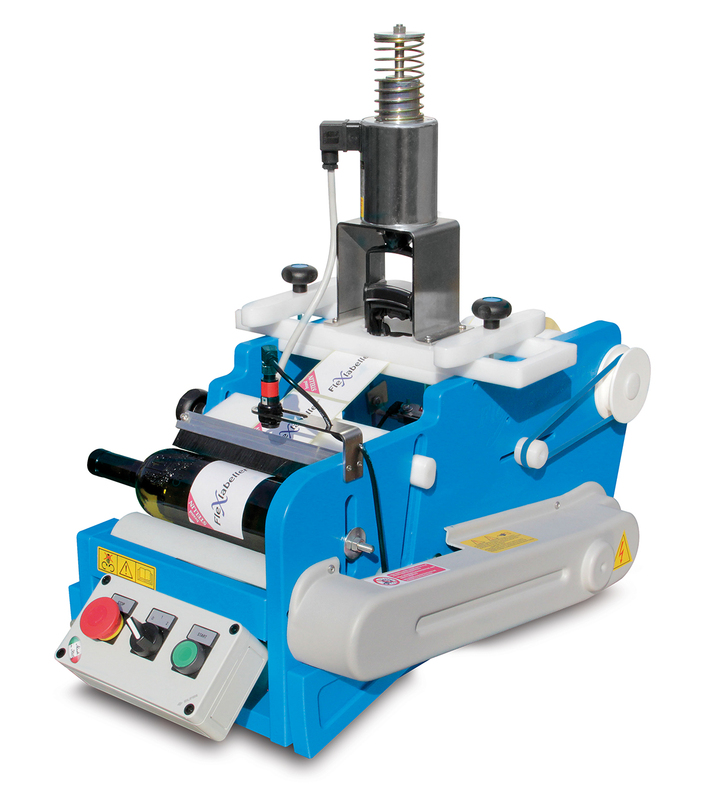 Semi-automatic capping machine with descending screw head is suitable for 26 and 29 mm crown caps. 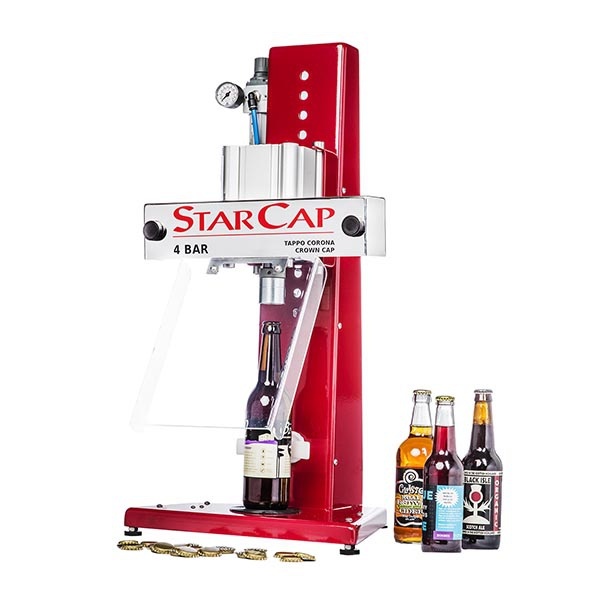 It is ideal for capping class cider and beer bottles. Productivity up to 500 bottles per hour. 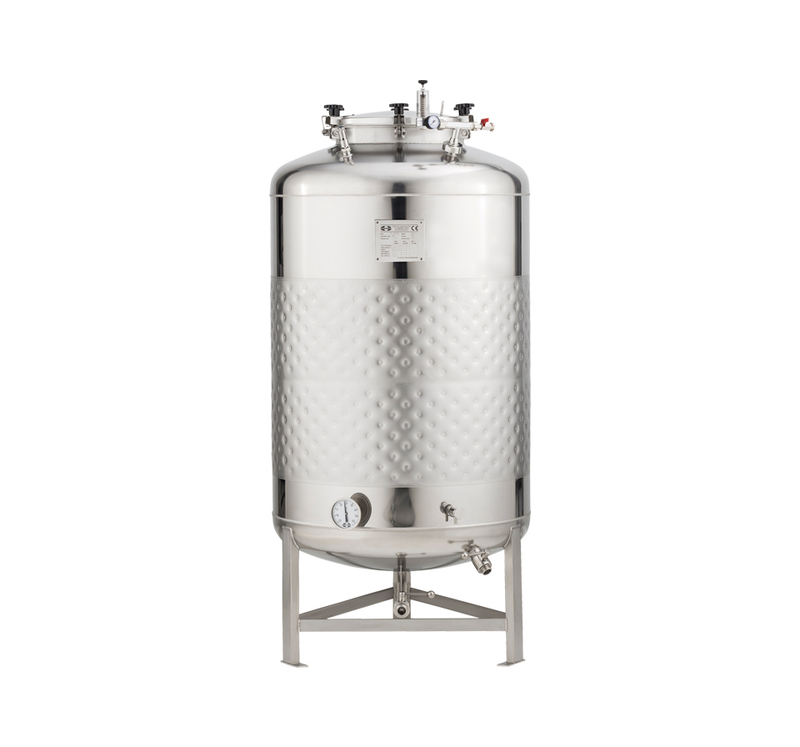 Stainless steel base tank for fermentation, storage and mixing. 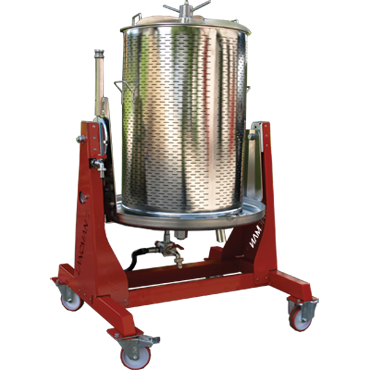 Free-standing base tank on 3 welded-on legs is suitable to use on its own or stack with other tanks. Variable capacity from 320 up to 126 000 litres. 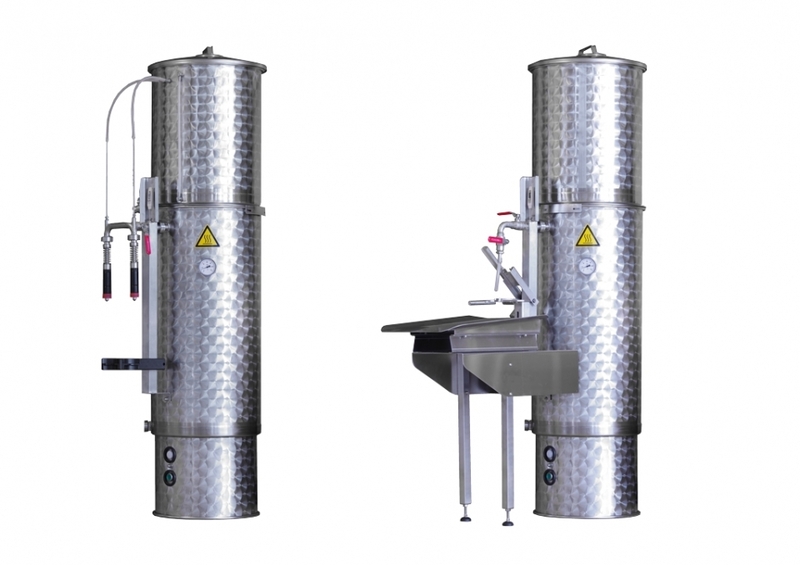 Stainless steel semi-automatic monoblock PG2010 S with corker and wire-hooder for mushroom shaped champagne corks. 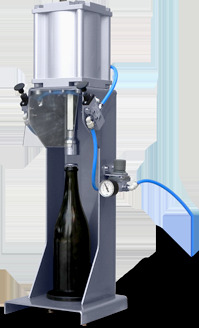 It is ideal for capping champagne and sparkling wine bottles. Productivity up to 500 bottles per hour. 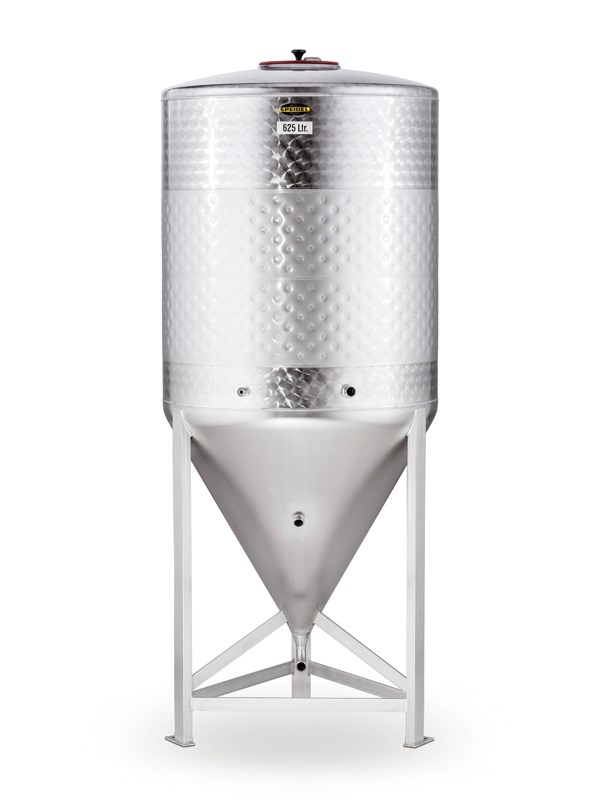 Speidel FD-S series stainless steel fermentation and storage tank on three legs. 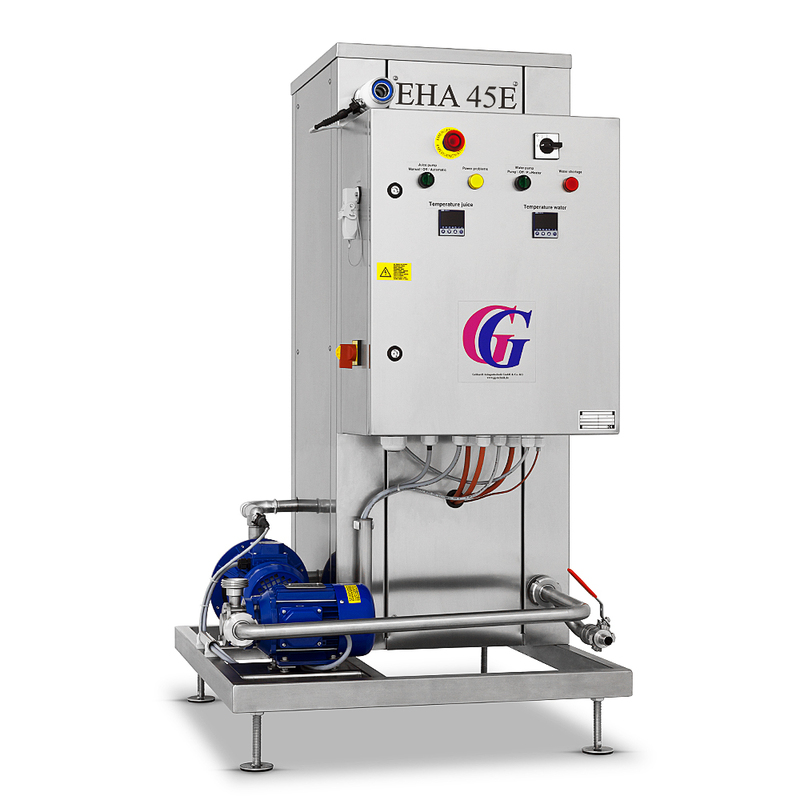 Variable capacity from 60 up to 625 litres. 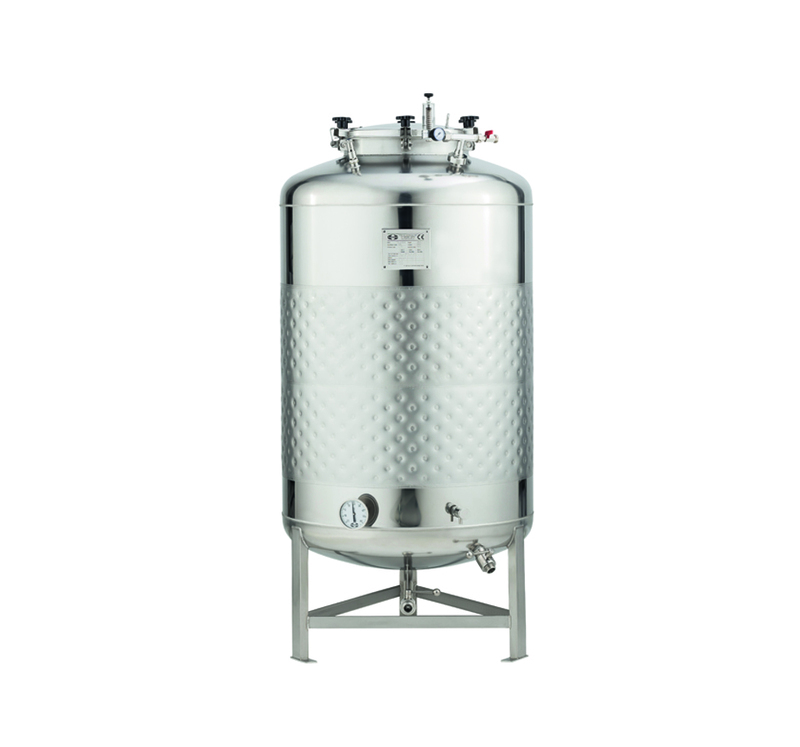 2.5 bar stainless steel pressure tanks with cone bottom and cooling jacket for fermentation and maturing or simply for storage. 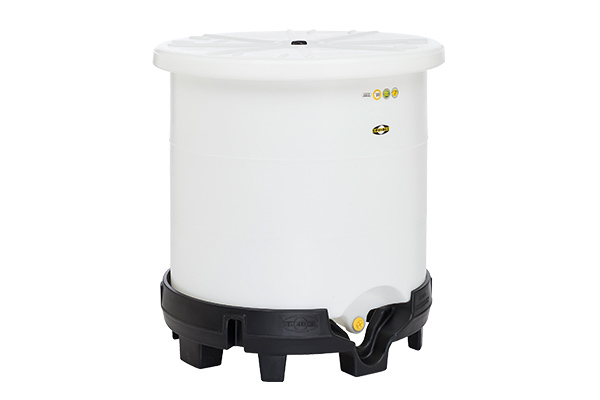 Speidel FD-2.5B-ZKG tanks have capacity from 120 to 625 liters. 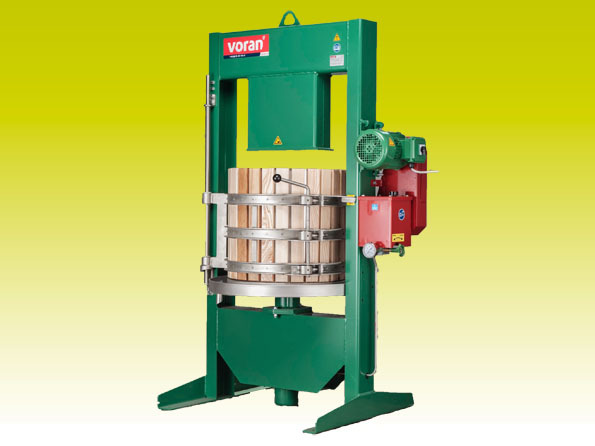 Manual wire-hooder PG2010 AM is designed for fixing wire cages on champagne corks. Productivity up to 200 bottles per hour. 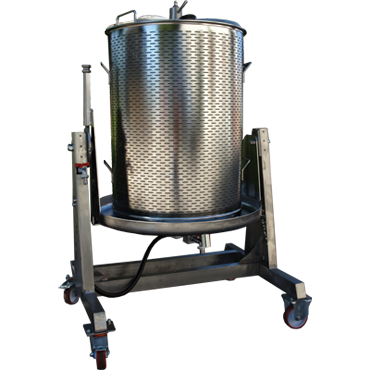 Pneumatic semi-automatic wire hooder PG93 S is designed for attaching wire cages to champagne corks. 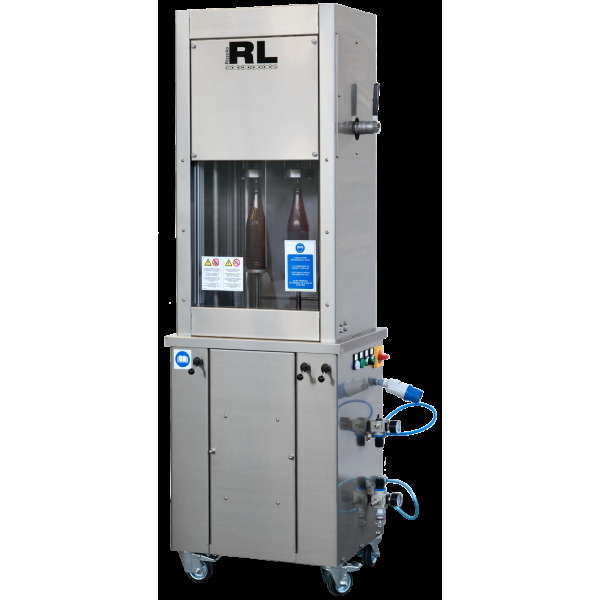 Productivity up to 450 bottles per hour. 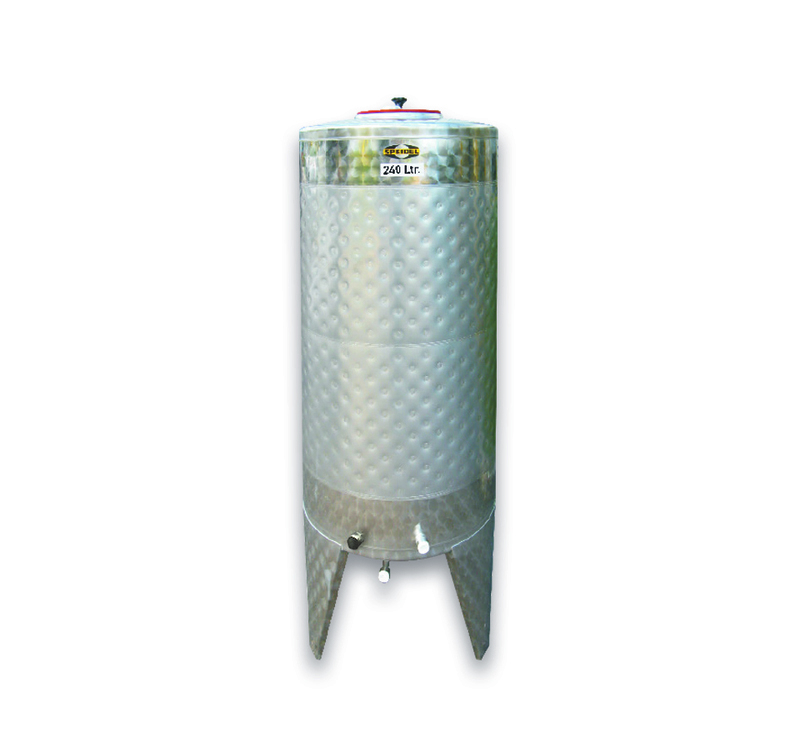 3 bar stainless steel tanks with cone bottom for professional use. 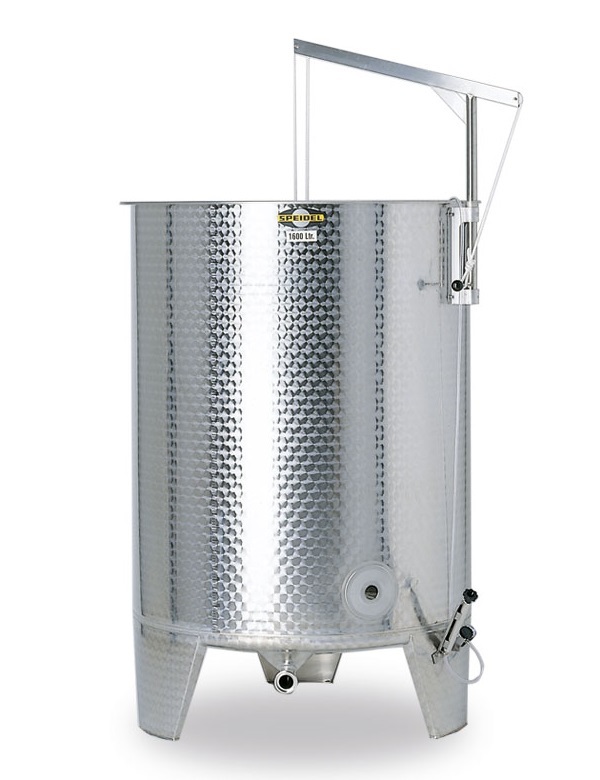 Suitable for fermentation and maturing or simply for storage. Speidel FD-MO-3B-ZKG tanks have capacity from 300 up to 20 000 liters. 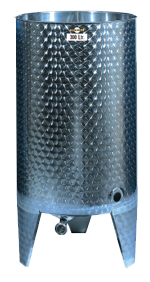 1.2 bar stainless steel pressure tanks for professional use. Suitable for fermentation and maturing. 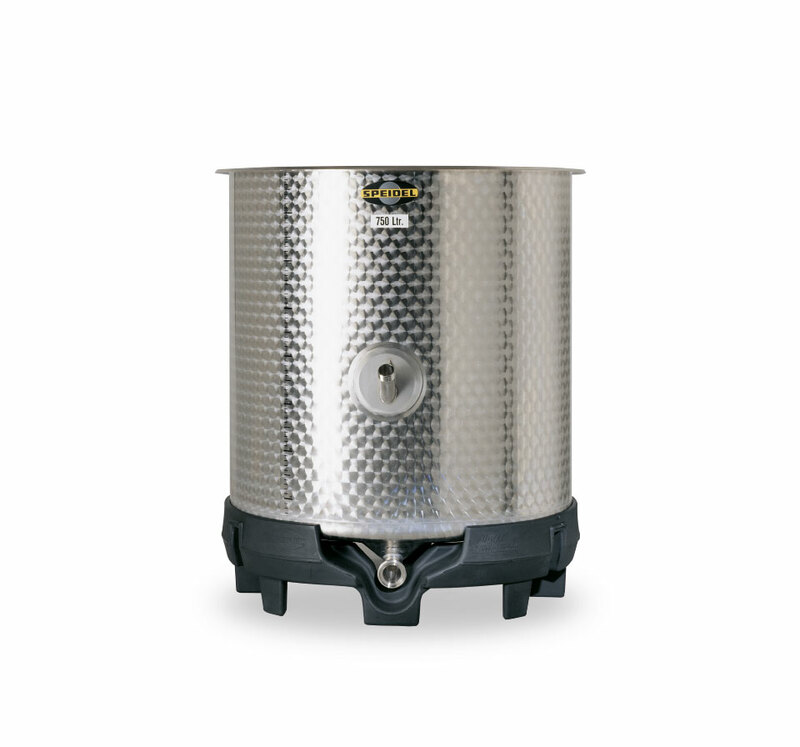 Speidel FD-1.2B tanks have capacity from 120 to 625 liters. 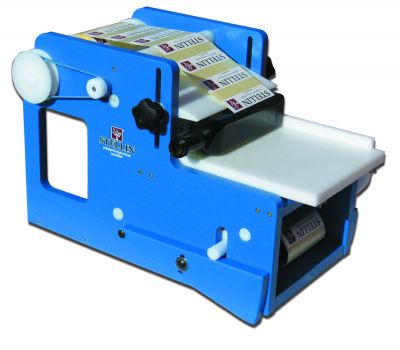 Manual roller head capsuling unit is designed for polylaminate, aluminium and tin-foil capsules. 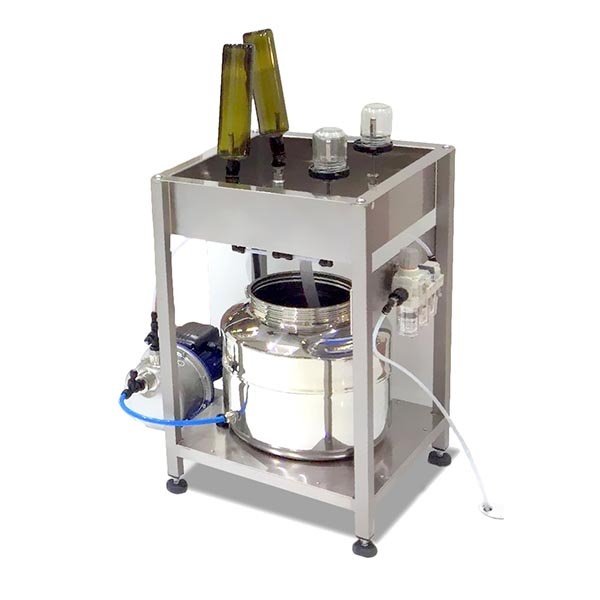 The capsuling unit is suitable for capsuling wine bottles. Productivity up to 400 bottles per hour. 2.5 bar stainless steel pressure tanks for professional use. Suitable for fermentation and maturing. 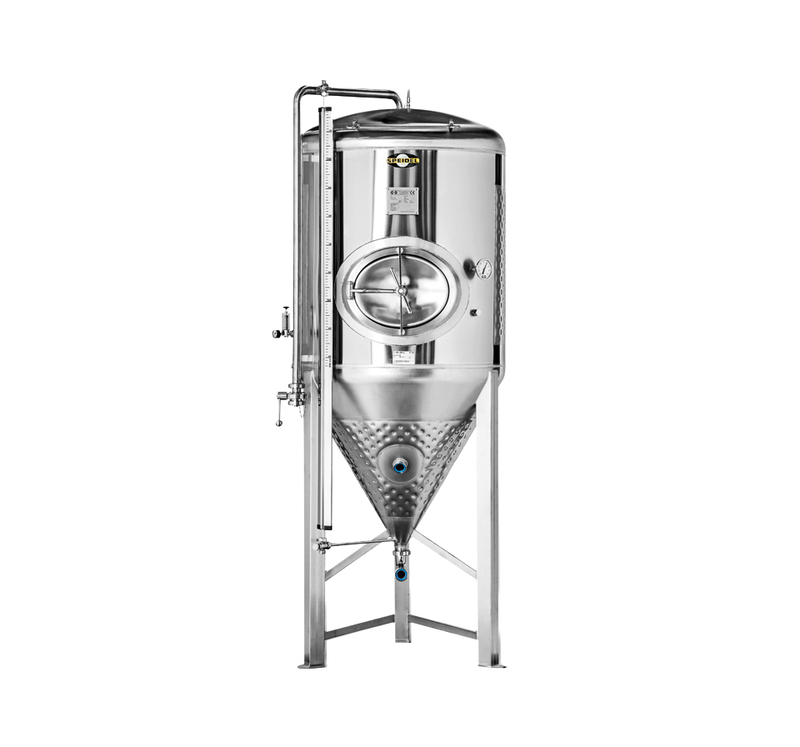 Speidel FD-2.5B tanks have capacity from 120 to 625 liters.